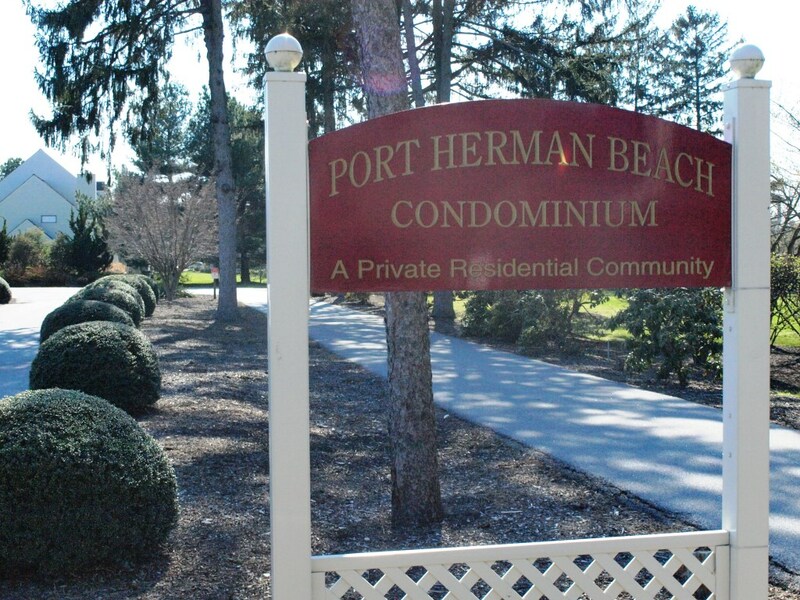 The Bay Property Team at EXiT Preferred Realty proudly introduce to you 41 Port Herman Dr in Chesapeake City, Maryland. 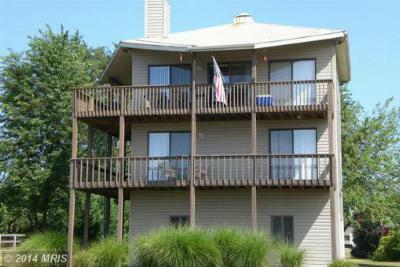 This Waterfront Condo is located just south of the Historic town of Chesapeake City MD with panoramic views of the Elk River. 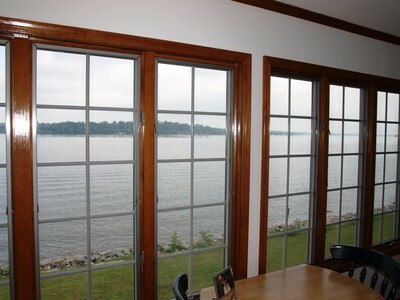 The current owners have enjoyed this waterfront retreat for many years. 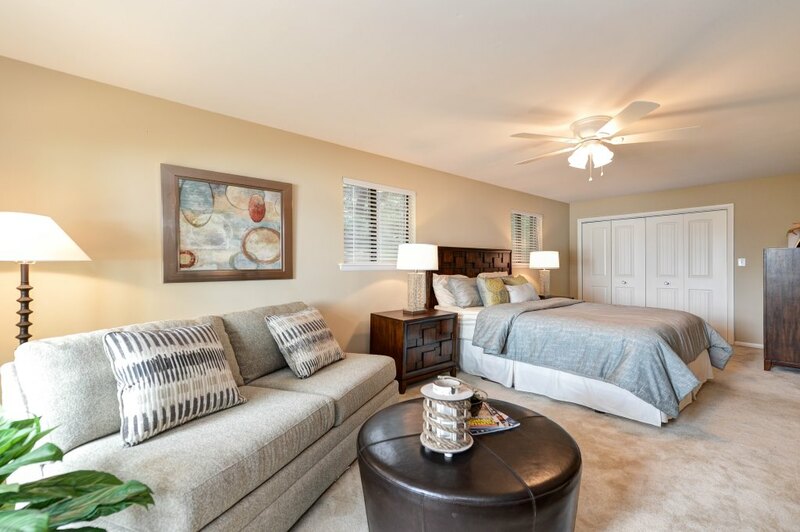 The Condo is a 2 level unit and was previously updated with Hardwood floors, ceramic tiles, expanded Master Bath and expanded closet and storage spaces. 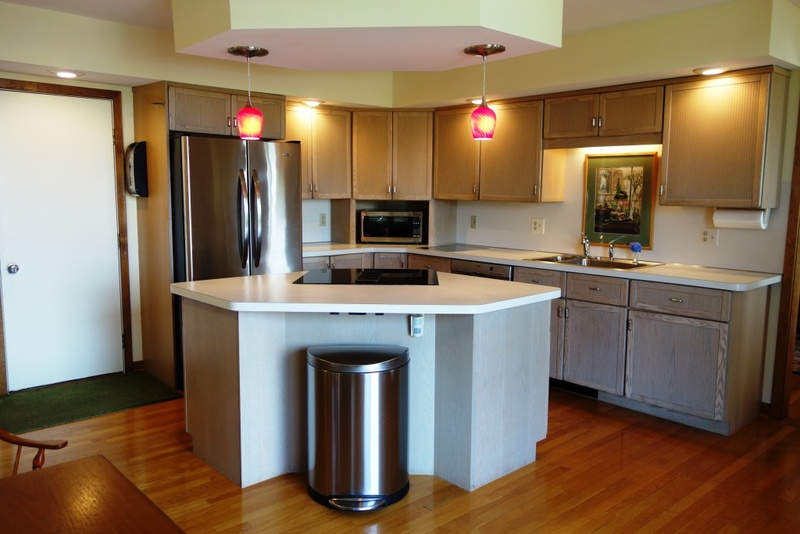 All interior spaces of the home have been updated to today's standards. 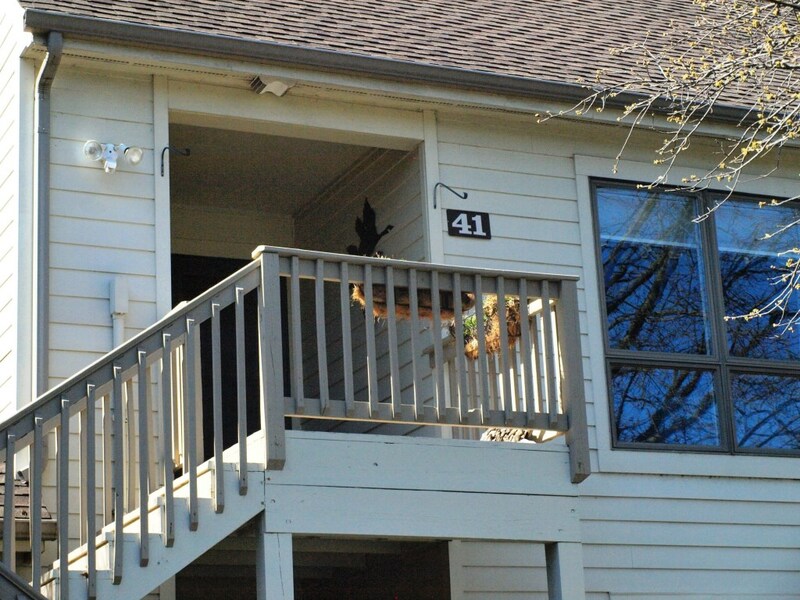 The new owners can bring their furniture and enjoy the summer! 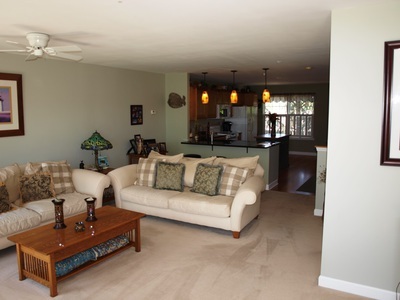 Condo fees cover all exterior maintenance and all amenities including Tennis Courts, Sandy Beach, Boat Ramp, and boat 30' boat slip with Lift! 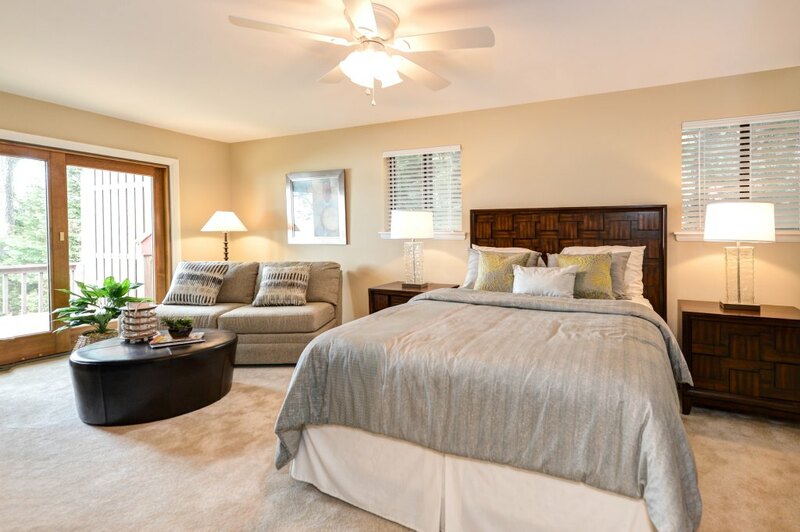 The homes unique orientation to the water provides panoramic water views of the Elk River and Spectacular Sunsets. 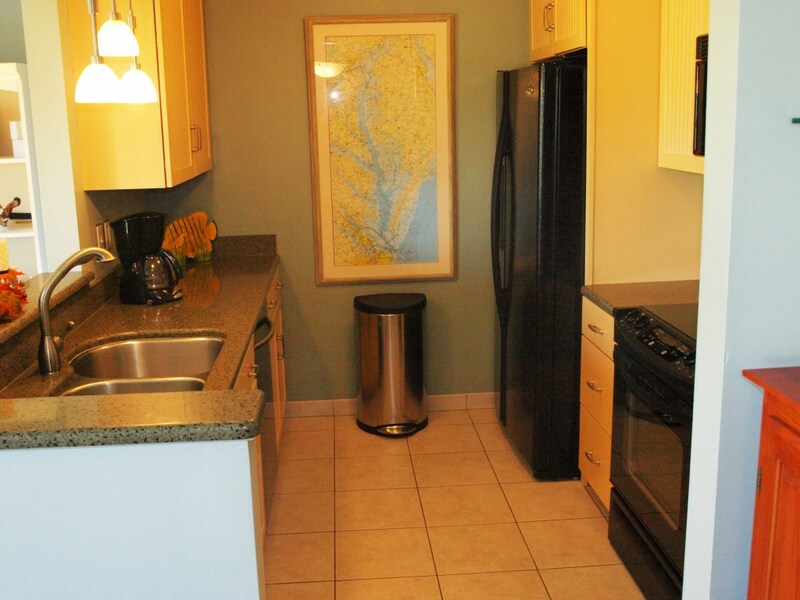 The unit is located on the upper level and has 2 bedrooms, 2 baths on two levels. 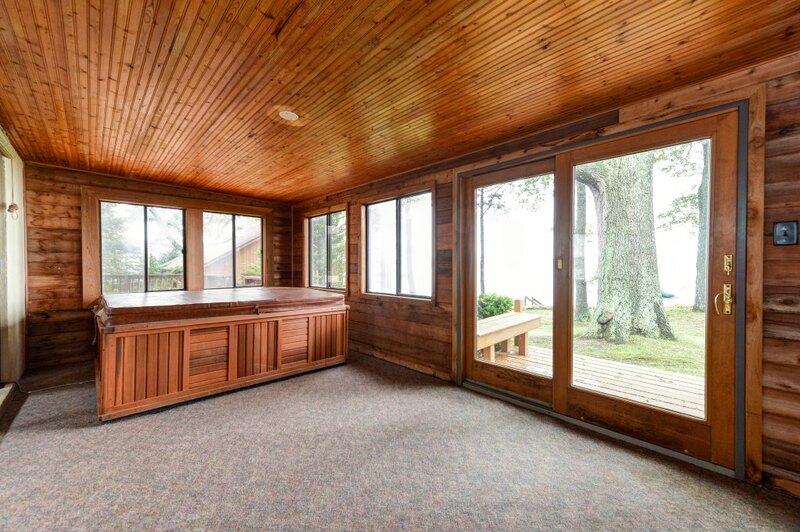 The large deck provides space for you and your guests to enjoy the Elk River Sunsets after a day on the water. 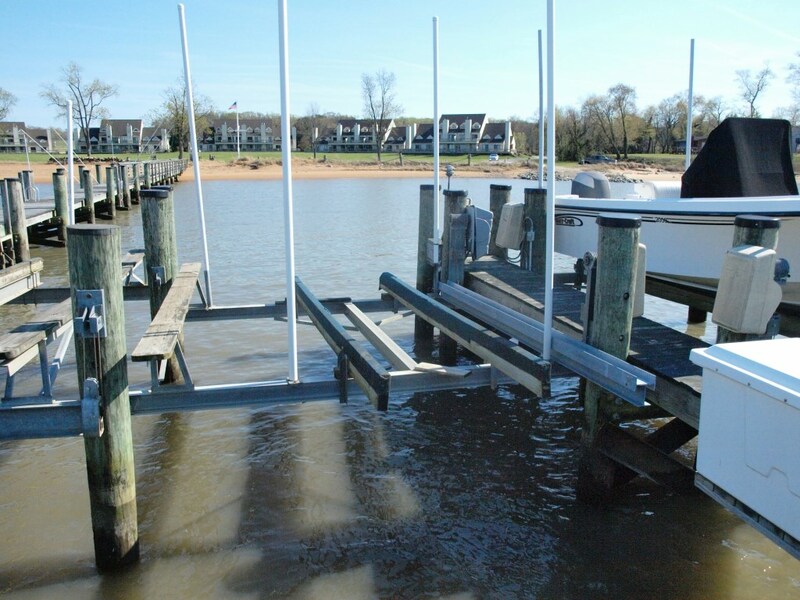 Pictured below is the community pier and the Slip assigned to the unit with 10,000 lb lift. 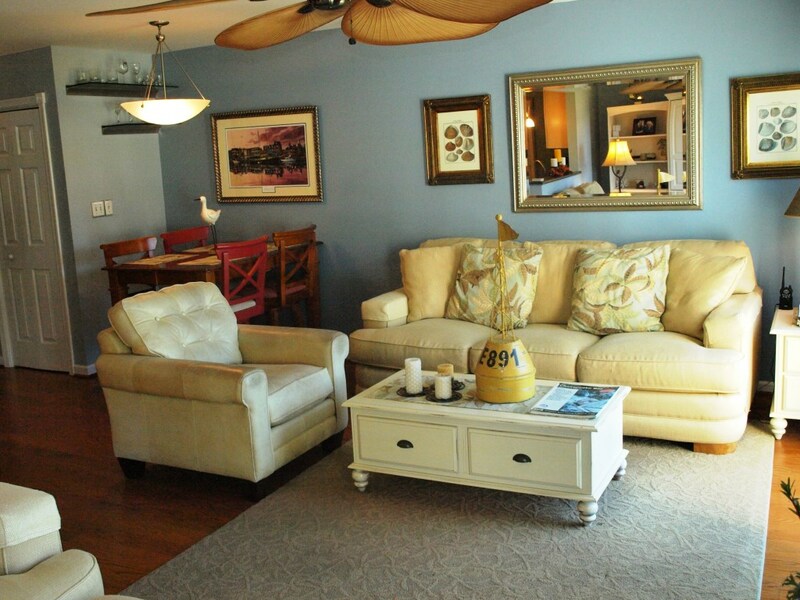 As you enter the home, you will be drawn to the Open Living space that is oriented to the water. 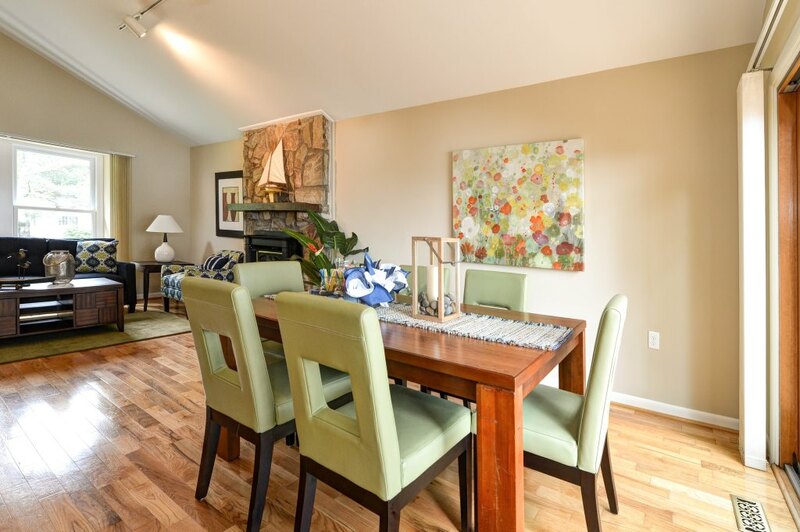 The living room, dining room combination has gas fireplace for those cool spring and fall evenings, gleaming hardwood floors and direct access to the galley kitchen. 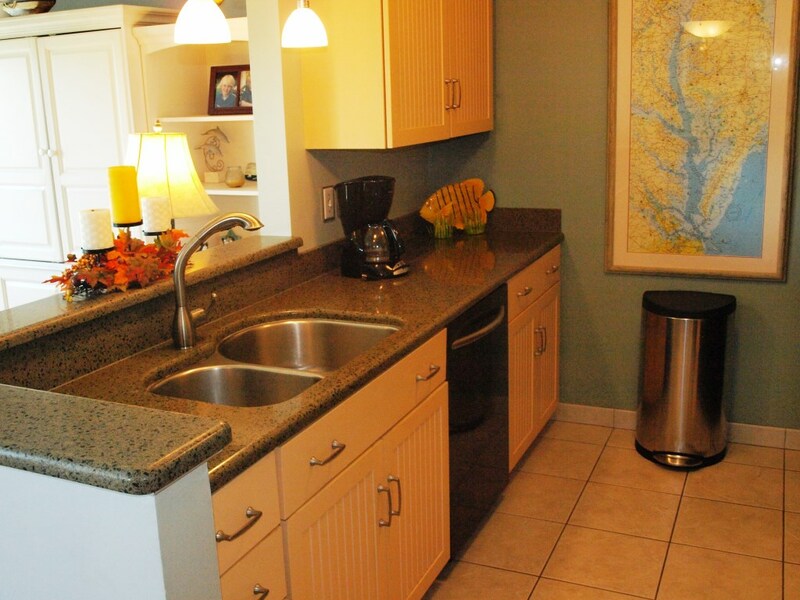 The Galley Kitchen include Newer Appliances, Quartz Countertops, Double SS Sink, and Upgraded Fixtures. 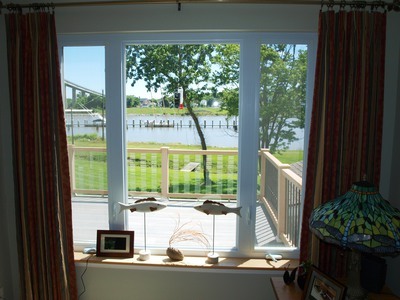 You will never feel left out a pass through has been opened up to the living area and provides views of the water! 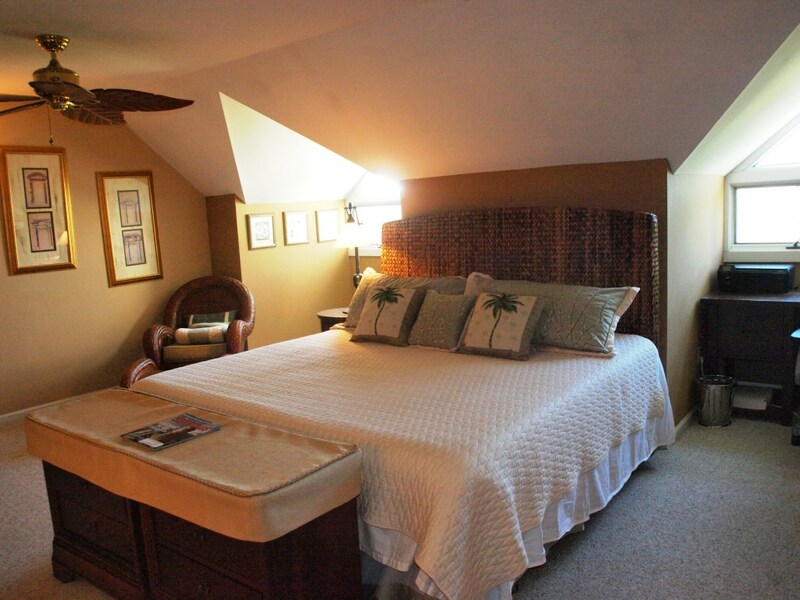 The spacious Master Suite is on the upper level and with water views, large walk in closet and expanded bath! 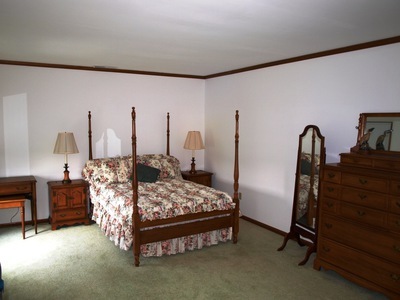 The second bedroom is on the main level with access to the bathroom. All fixtures have been upgraded! 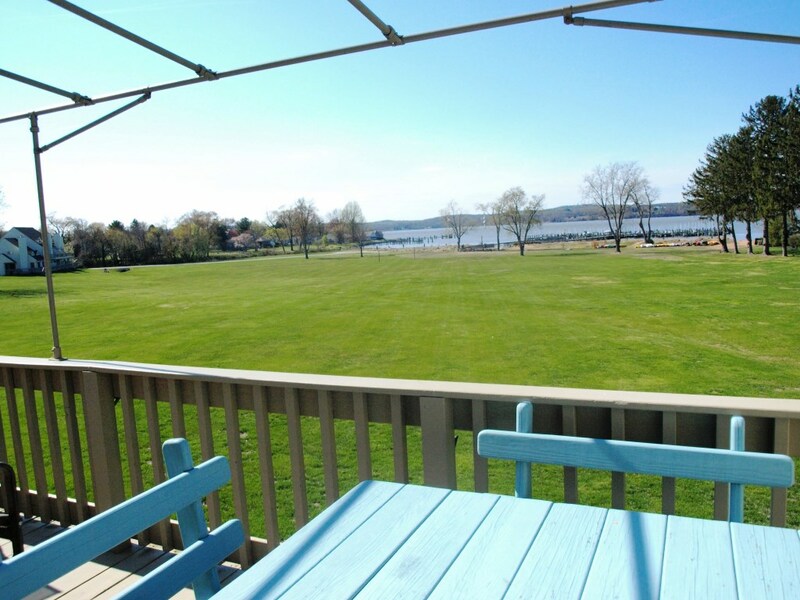 The waterfront is a short walk down the expansive lawns to one of the few Sandy Beaches in the Area. 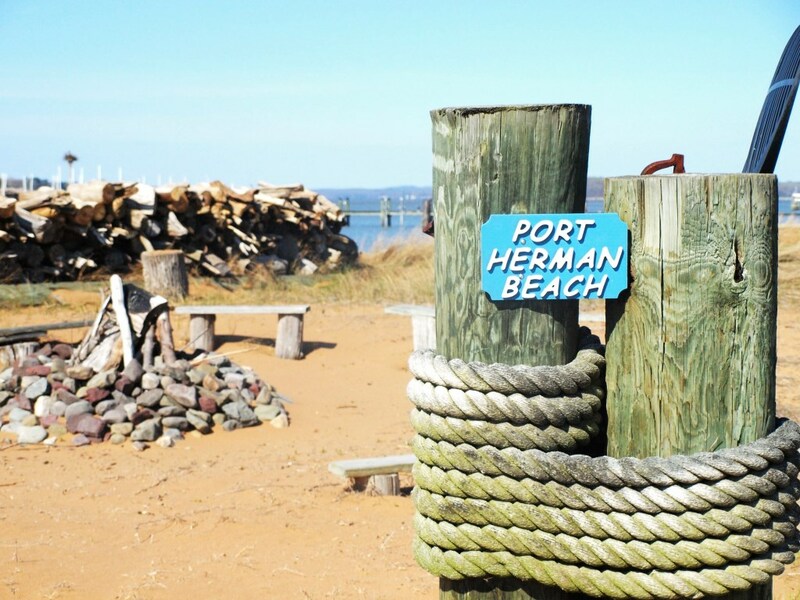 There is a picnic area, bonfire area and access to the Pier! 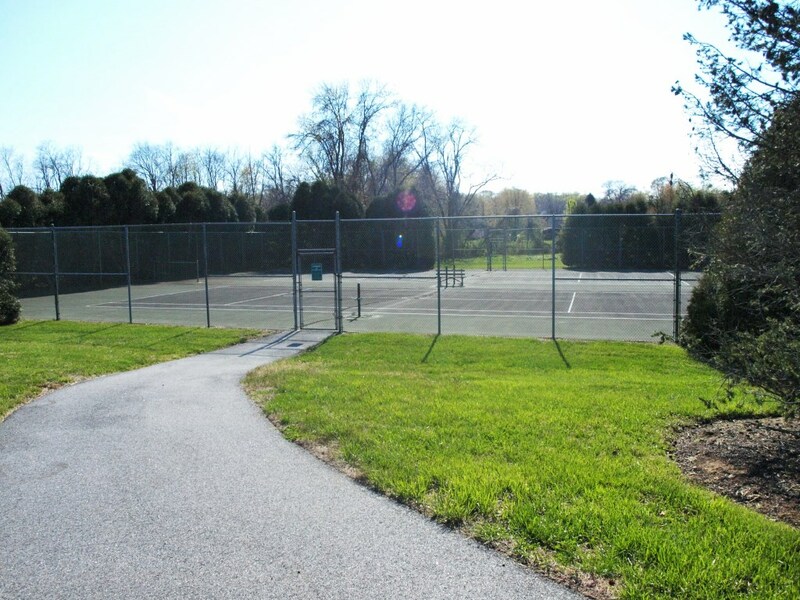 Rounding out the amenities is a Tennis Court and Boat Storage Area! Don't Forget those wonderful Elk River Sunsets! 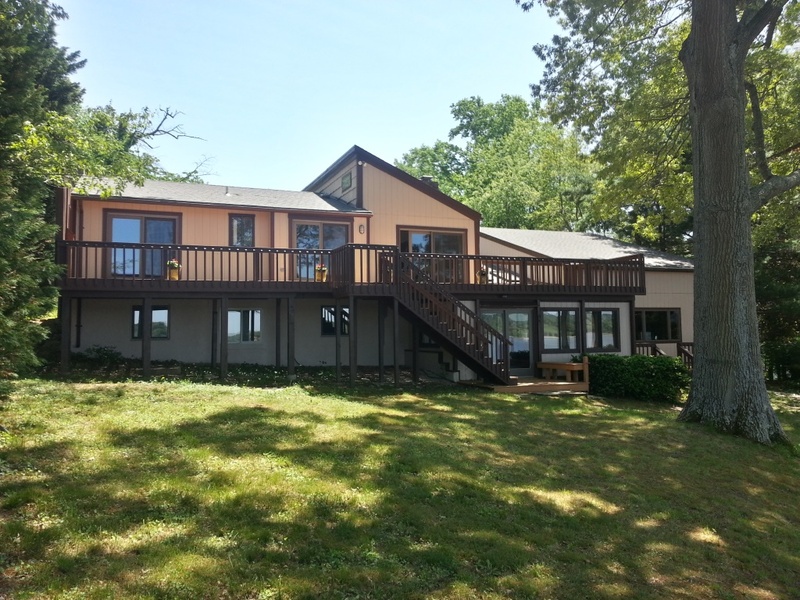 If you have been looking for a turn-key waterfront retreat – at a Water Access Price! Look No More. For printable flyer, click any of the buttons on the page! Susan and I were recently asked why we chose EXiT Preferred Realty in Chesapeake City MD to work with and set up the Bay Property Team. When Susan first started in the business in 2002 she was looking for a small, close knit firm that had the feeling of team and family. She talked to many in the business and ultimately chose EXiT. 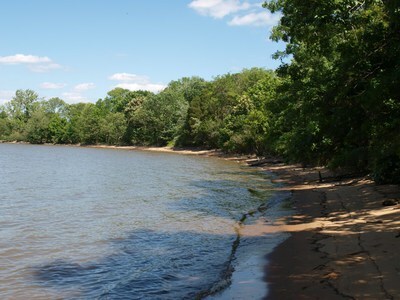 At that time it was called EXiT Chesapeake Bay and focused mainly waterfront properties in Cecil and Kent Counties. It has since become part of the EXiT Preferred family but hasn’t lost its original personality. At the time I thought that it was a perfect fit because of the level of experience, the opportunity to be mentored by some of the best waterfront realtors in the region and the ability, because of the “EXiT Formula” to earn more than 100%. 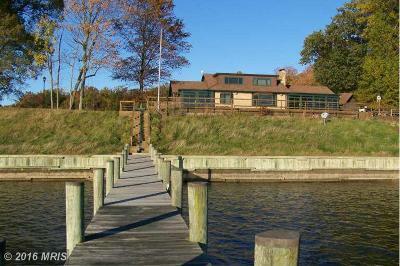 In 2006 I joined the brokerage and Susan and I became the Bay Property Team and primarily sell Waterfront and Water Access homes in Chesapeake City, Earleville, Elkton and North East MD. 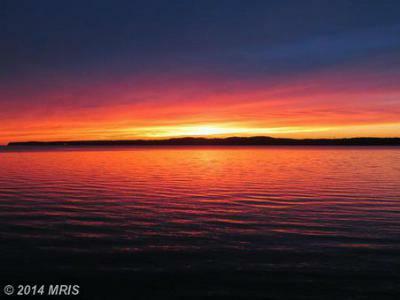 We enjoy the “living the Chesapeake Bay lifestyle” and helping Buyers and Sellers achieve their goals. The new bridge had to be tall enough to allow supertankers to pass beneath it, resulting in a structure so high and long that cars no longer went into the city to cross the canal. Business declined for decades thereafter. 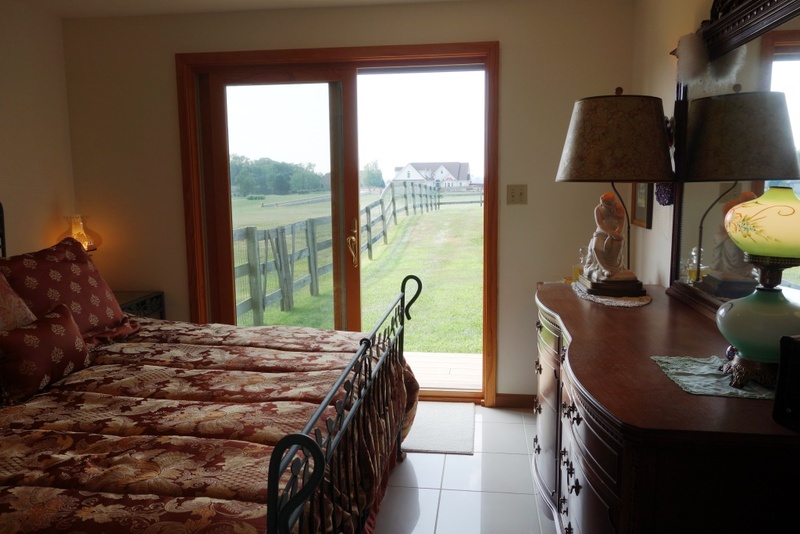 Now it is a destination of day trippers from Pennsylvania and New Jersey as well as those who own Eastern Shore Vacation Homes. Here are your top Waterfront and Water Access picks for Chesapeake City in Cecil County MD as of May 26, 2015. 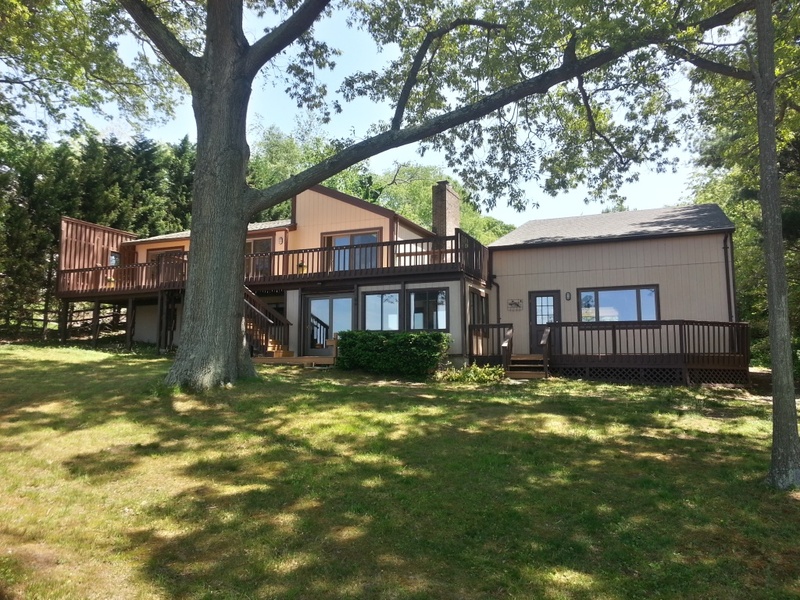 Check out our newset listing at 23 Tower Point Rd in Tower Point. 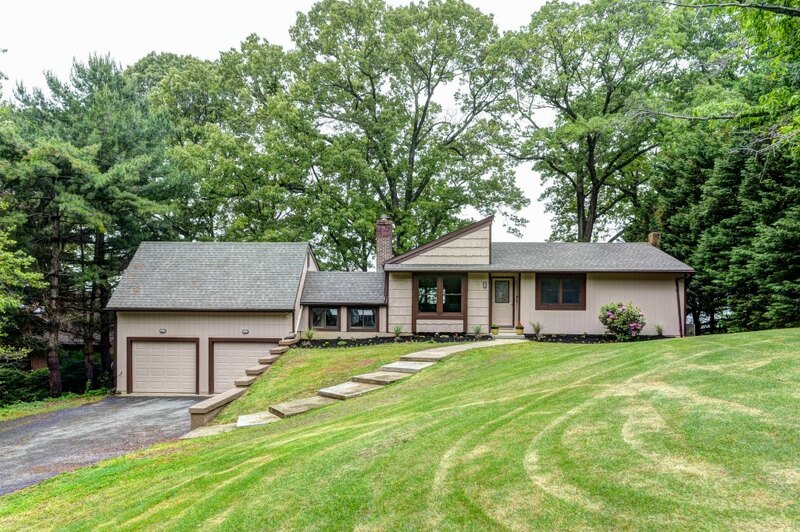 Rarely will you find such great views and the home has been completely updated! 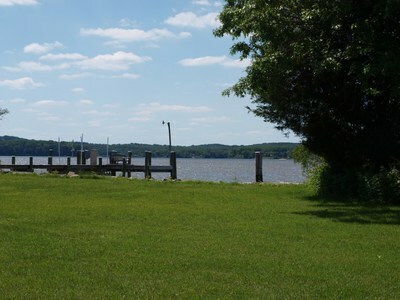 The Bay Property Team at EXiT Preferred Realty proudly introduce to you 23 Tower Point Rd in Chesapeake City, Maryland. 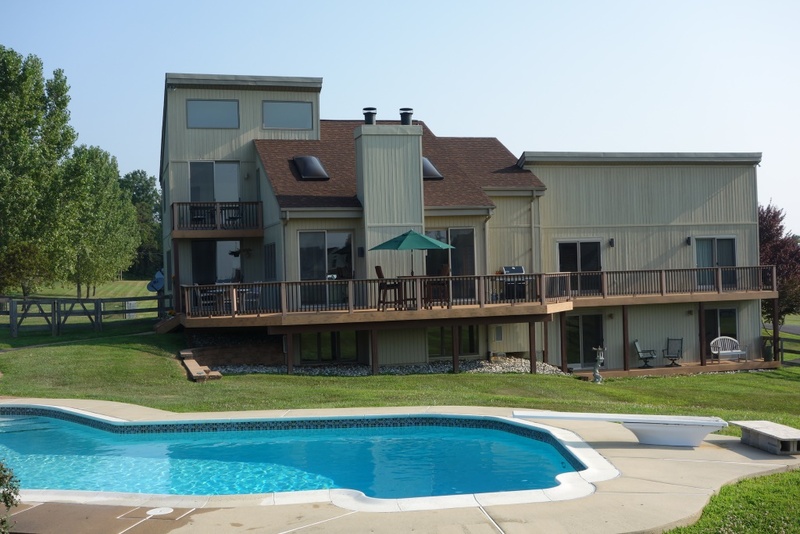 This waterfront home is located just south of the Historic town of Chesapeake City with panoramic views of the Elk River. 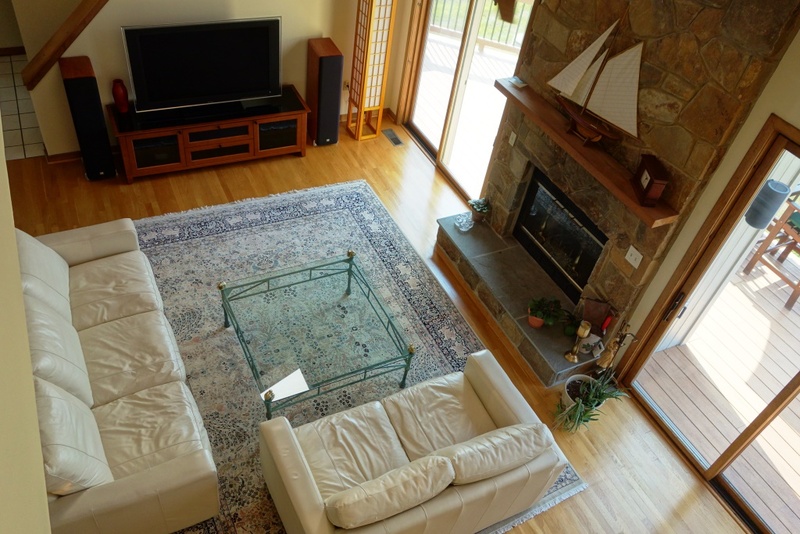 The current owners have enjoyed this waterfront retreat for many years. 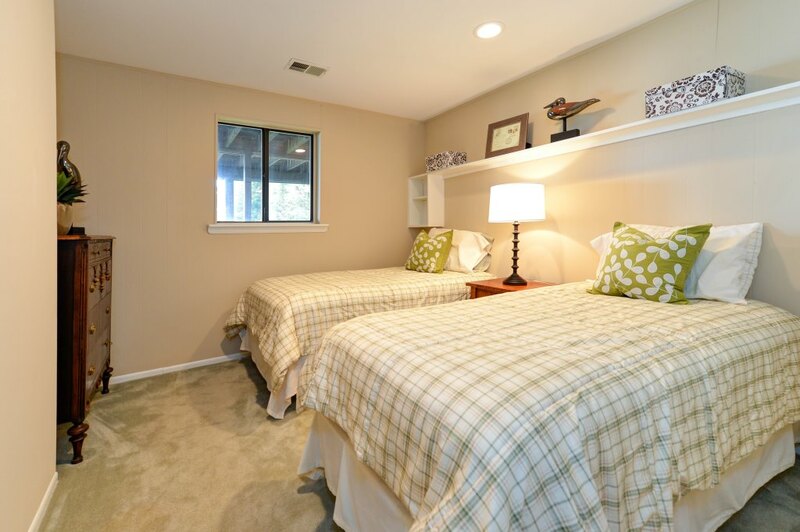 This year they decided to update the home so that new owners could bring their furniture and enjoy the summer! 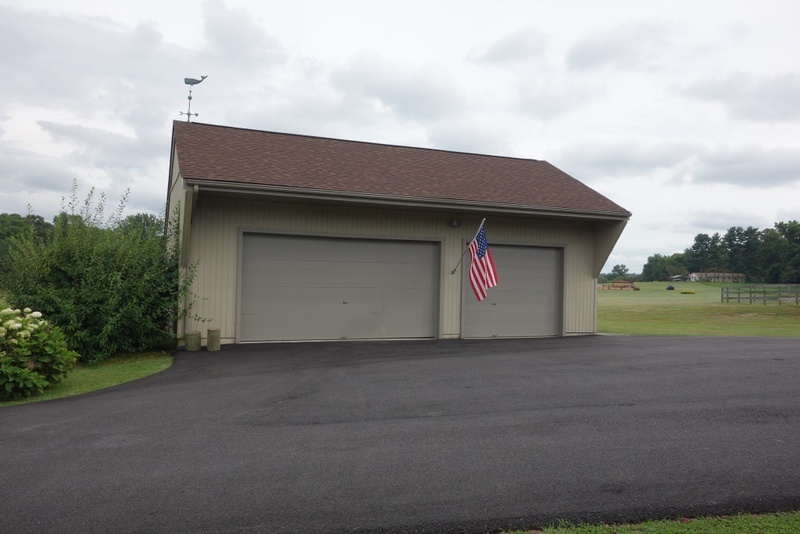 Exterior updates include New Paint, New Roof, and new landscaping. 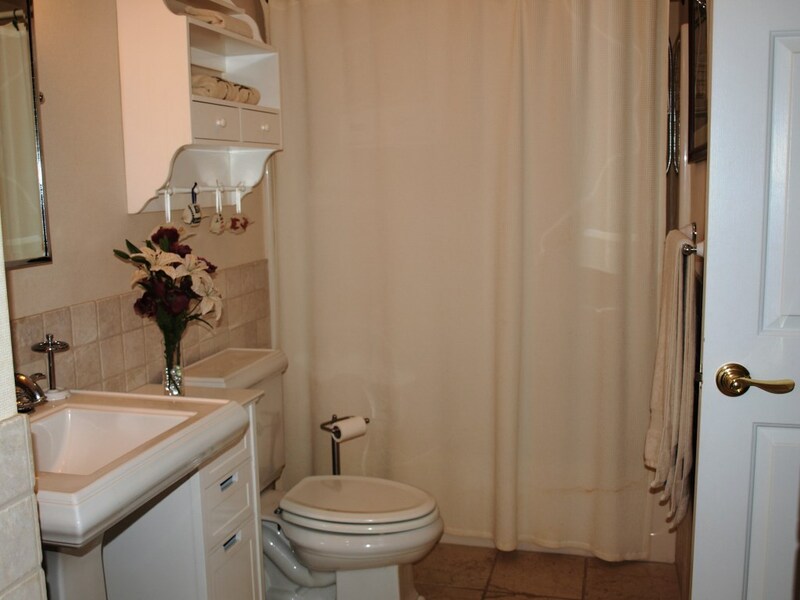 The interior improvements are extensive and are described below. 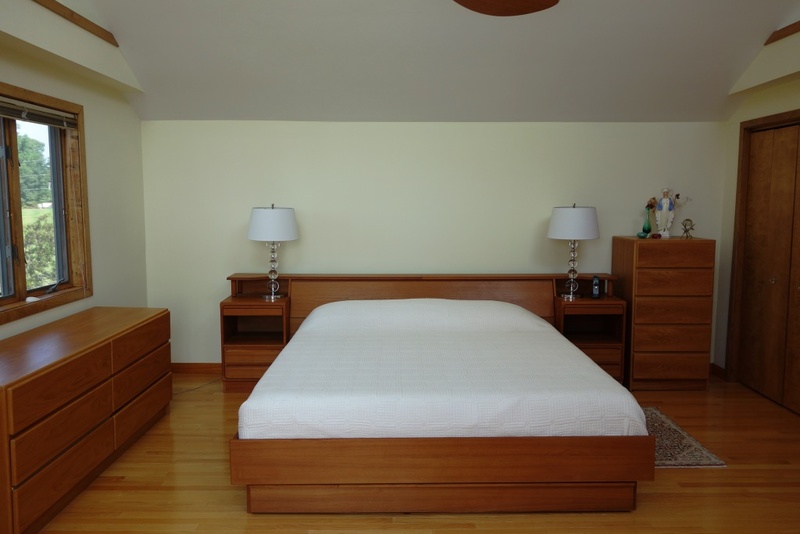 All interior spaces of the home have been updated to today's standards. 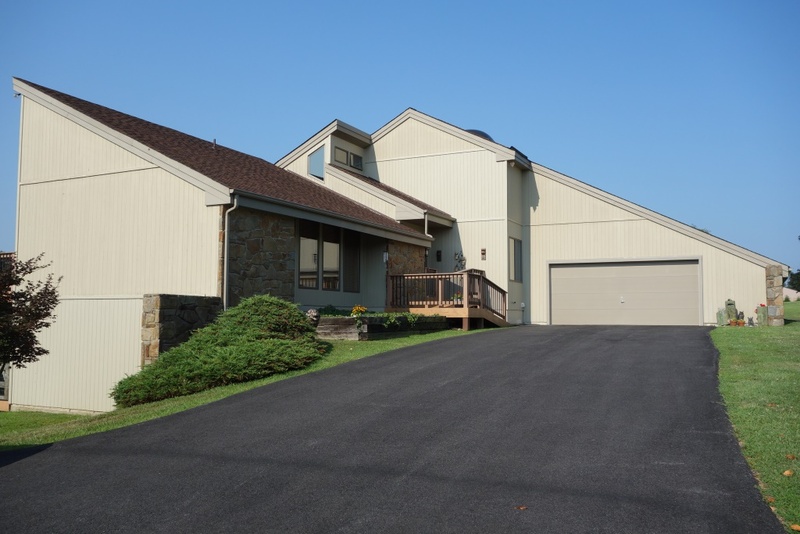 The homes unique orientation to the water provides panoramic water views of the Elk River and Spectacular Sunsets. 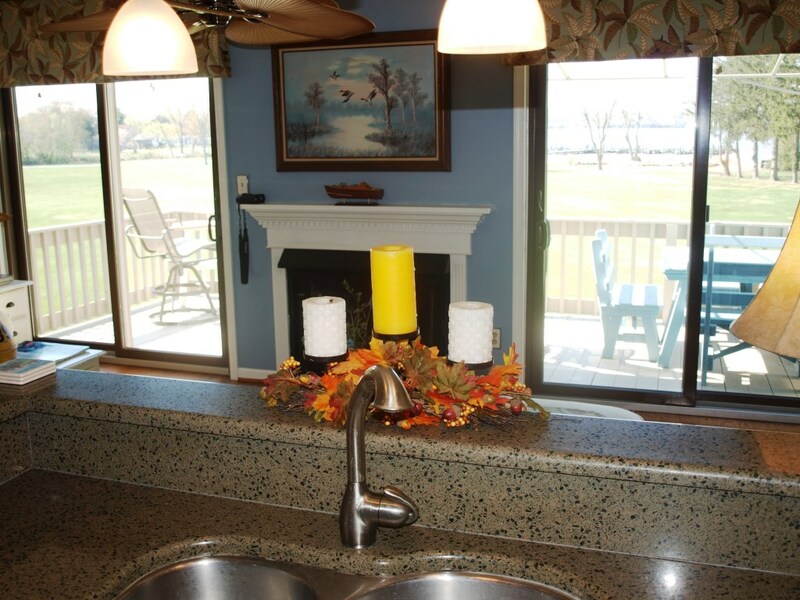 The Water Side of the home is ready for entertaining! 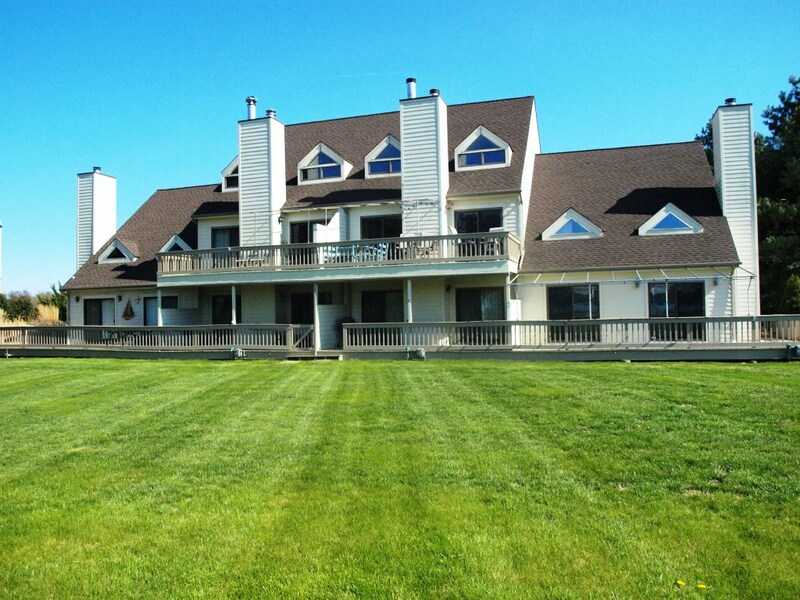 The expansive deck provides space for your largest party, and the waterfront has an additional deck as well as a great Sandy Beach! 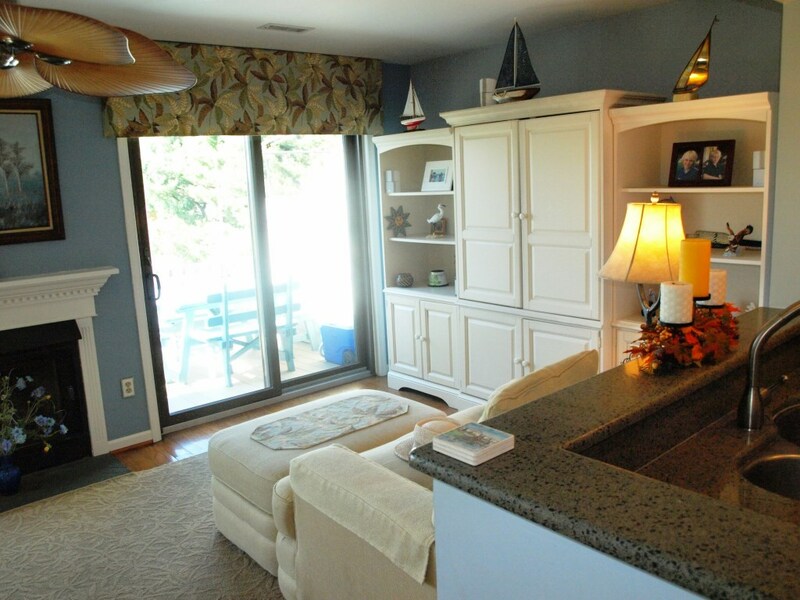 As you enter the home, you will be drawn to the Open Living space that is oriented to the water. 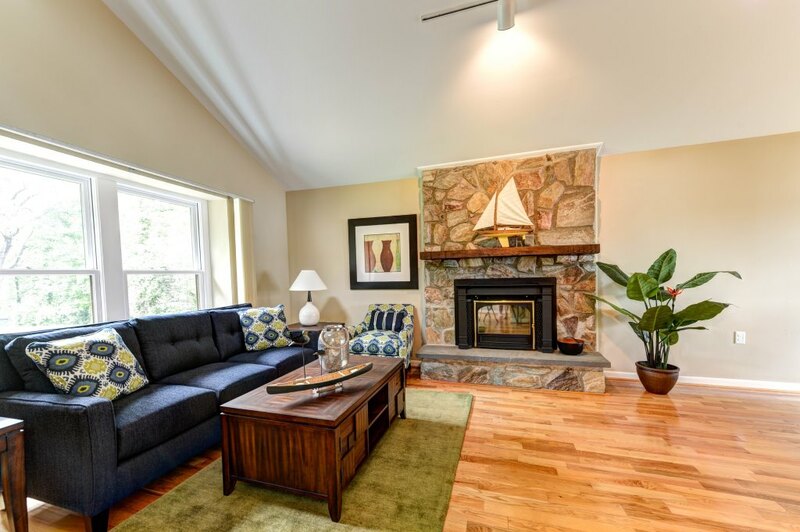 The living room, dining room combination has wood burning fireplace for those cool spring and fall evenings, vaulted ceilings, and gleaming hardwood floors and direct access to the galley kitchen. 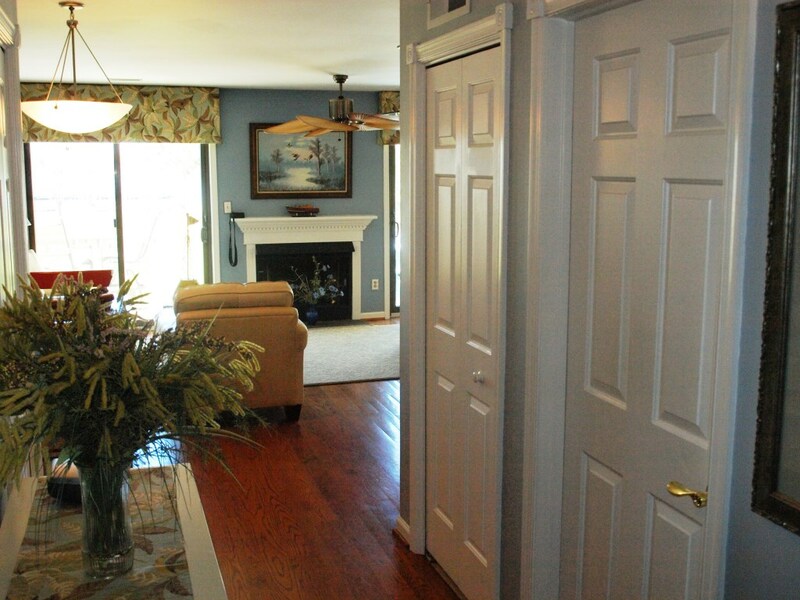 The interior has been completely repainted and all interior doors have been replaced. 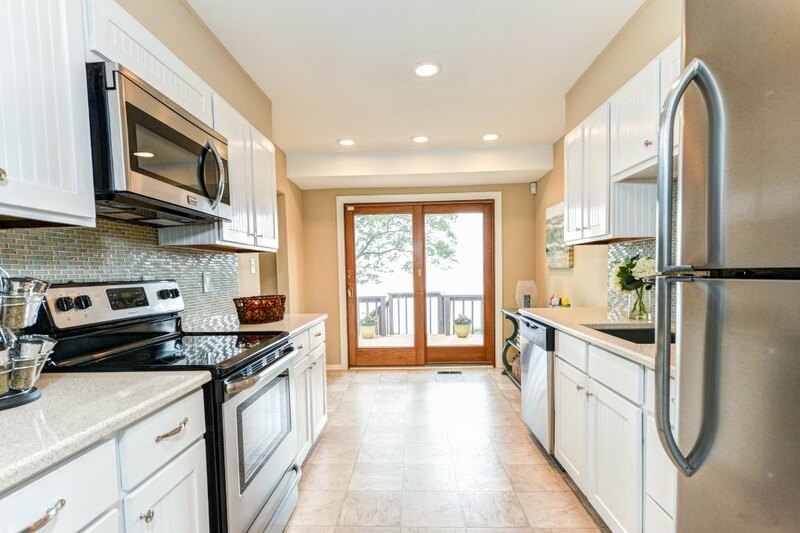 Improvements to the Galley Kitchen include, New Floor, Appliances, Countertops, Sink, Fixtures, Glass Tile Backsplash, and all cabinets have been re-faced to match the interior doors. 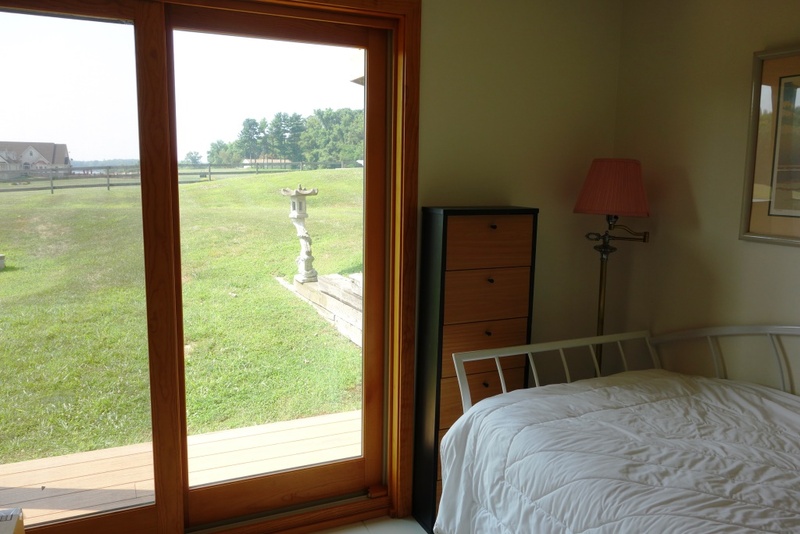 There is direct access to the deck through the French Doors. 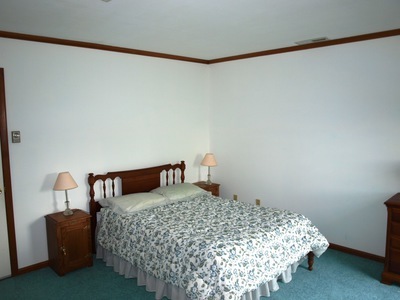 The Master Bedroom is down the main hall from the living area and provides plenty of private space for the new owners. 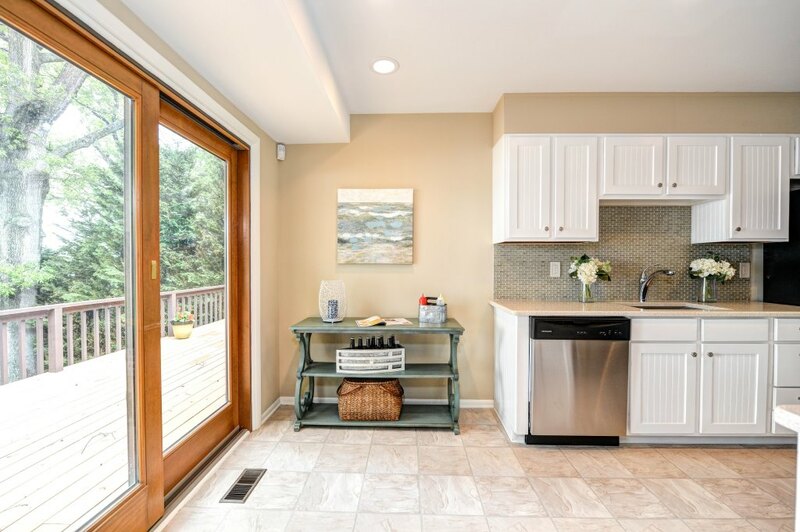 French doors lead to the deck. 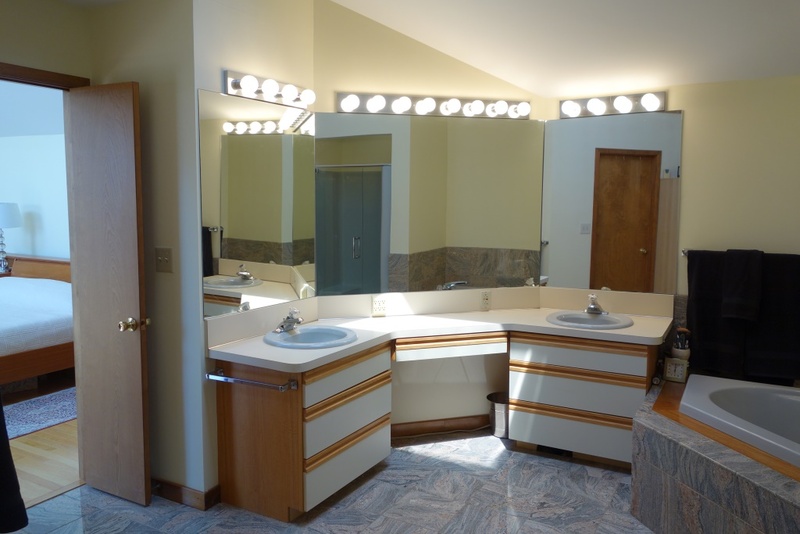 The 1/2 bath has been updated with new vanity, counter top, and all fixtures. 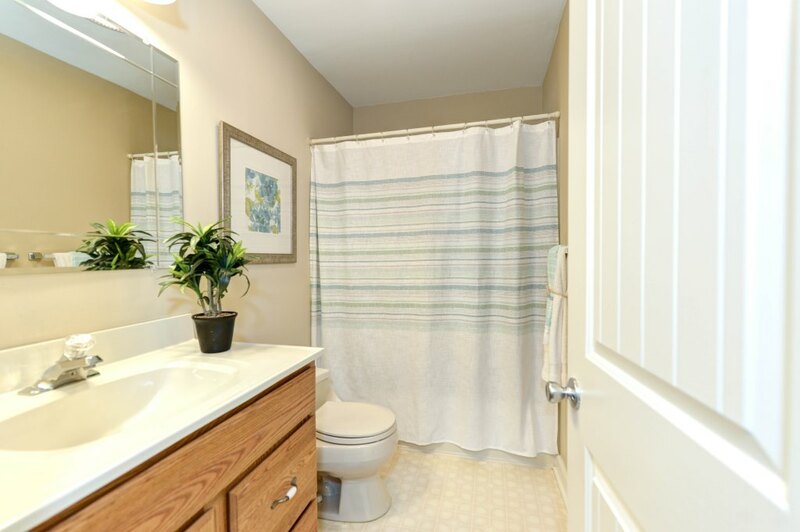 Completing the main level is an additional bedtoom and full bath that has been updated with new vanity, countertop, and all new fixtures. 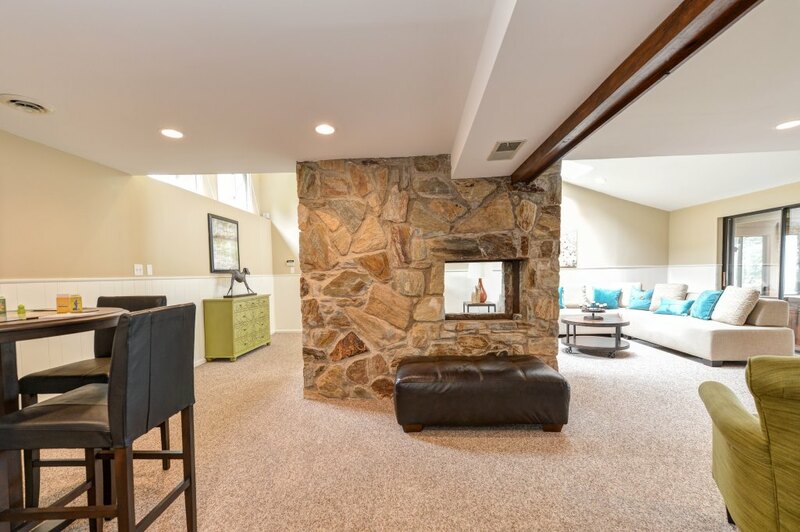 The Lower level family room is filled with natural light from the vaulted ceiling with skylights, there is access to the Hot Tub Room and waterfront. 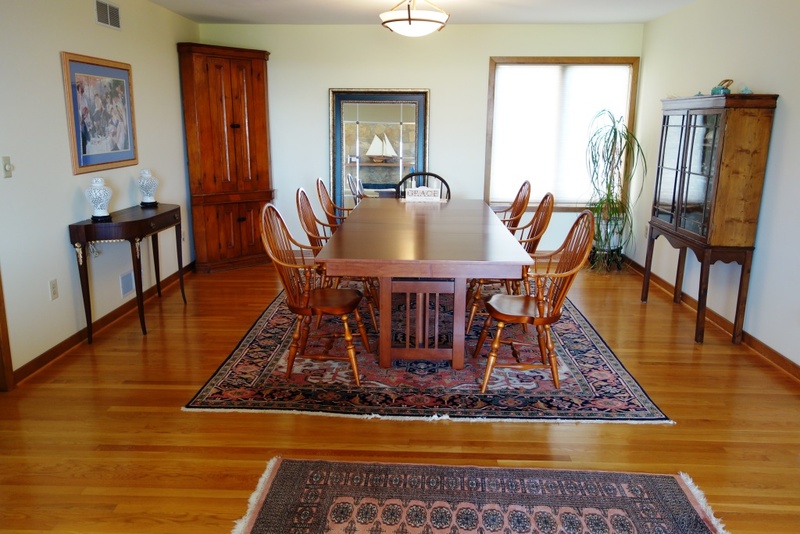 A Great spot for family gatherings! 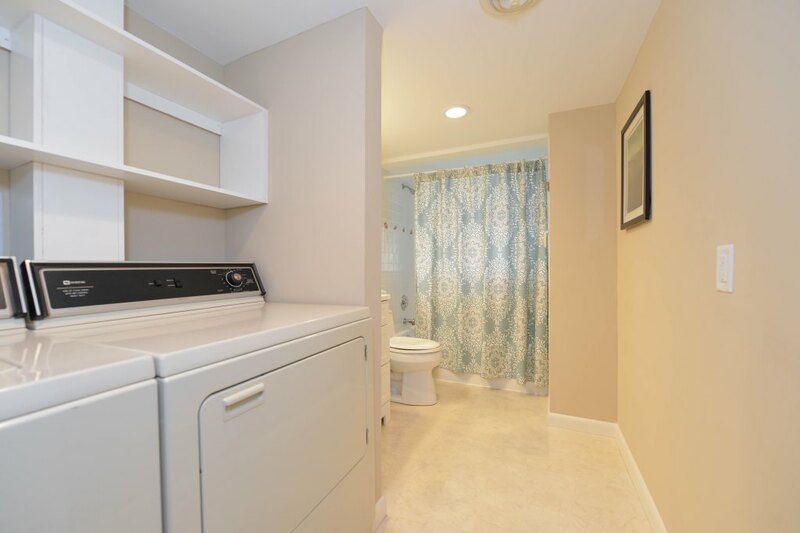 The lower level is completed with 3 additional rooms for overflow guests and a full bath/laundry that, again has all new fixtures. 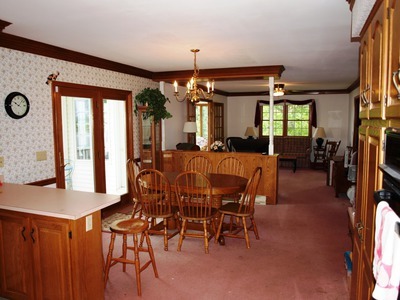 You access the huge deck from the Dining Room, Kitchen, or Master. 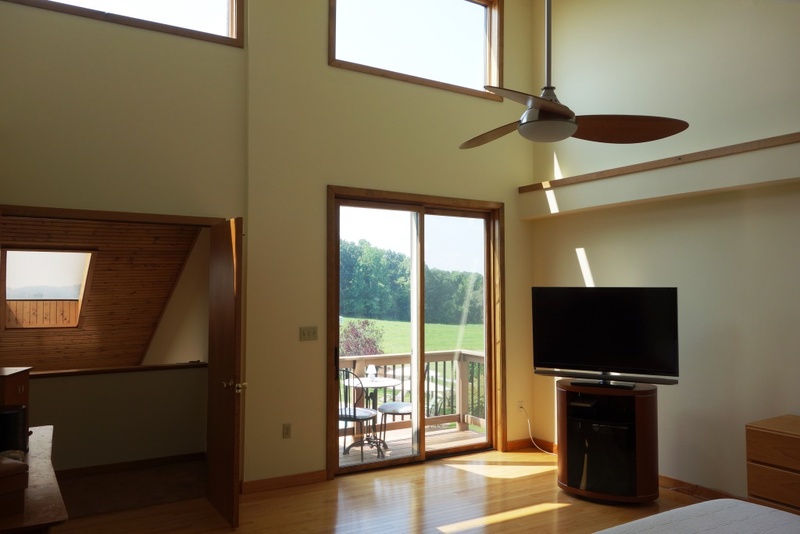 It provides expansive areas for outdoor living with one of the Best Elk River Views in the County. 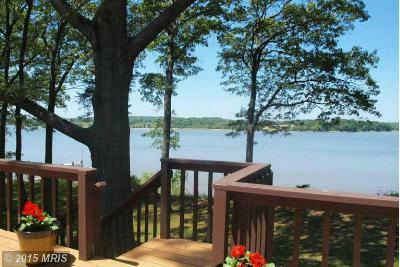 From the deck it is a short walk to the stairs to the Beach and large waterside deck. 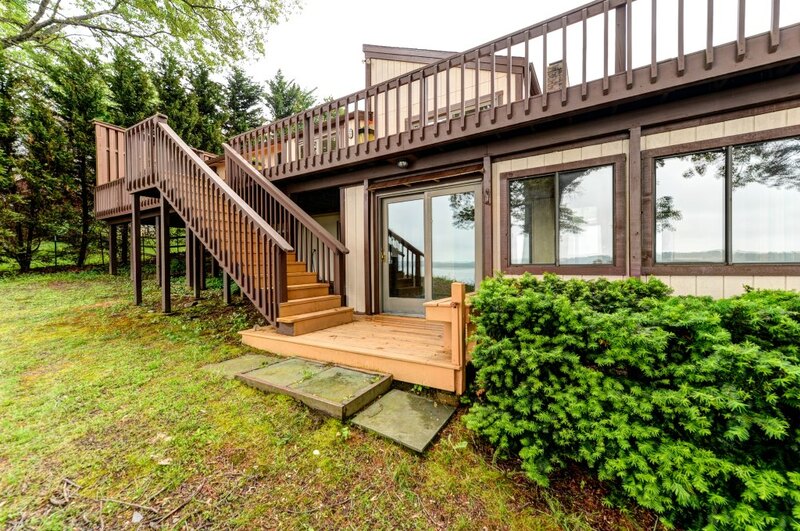 If you have been looking for a turn-key waterfront retreat – Look No More. For printable flyer, click any of the buttons on the page! Here are your top Waterfront and Water Access picks for Chesapeake City in Cecil County MD as of March 24, 2015. 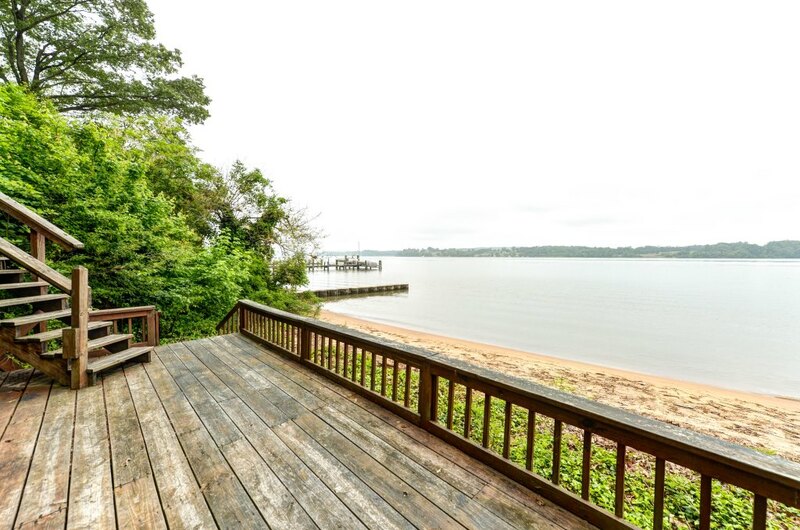 Check out the new price on 151 2nd St Chesapeake City in Port Herman. 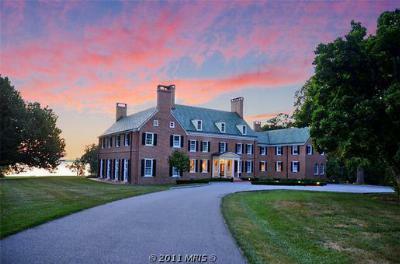 Rarely will you find a property like this with 1,100' of Waterfront! 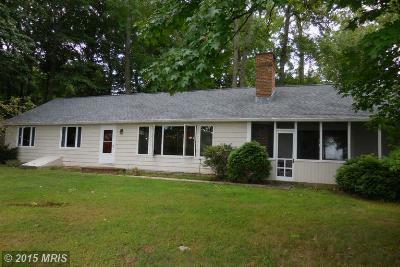 Single Family HomeRarely available !!! 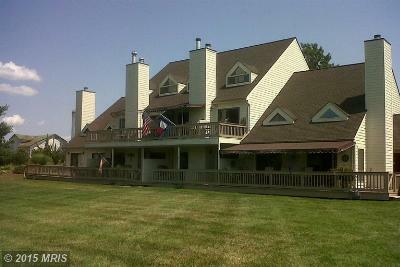 A home sitting right on the C&D Canal !!! First -class and...Courtesy of Long & Foster Real Estate, Inc. Here are your top Waterfront and Water Access picks for Chesapeake City in Cecil County MD as of January 26, 2015. 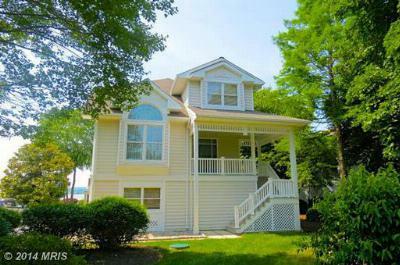 Check out the new price on 151 2nd St Chesapeake City in Port Herman. 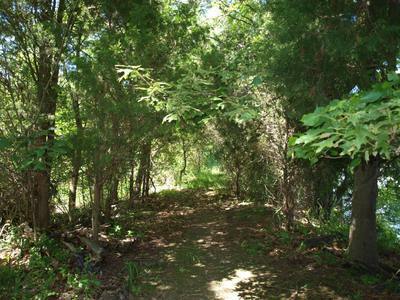 Rarely will you find a property like this with 1,100' of Waterfront! 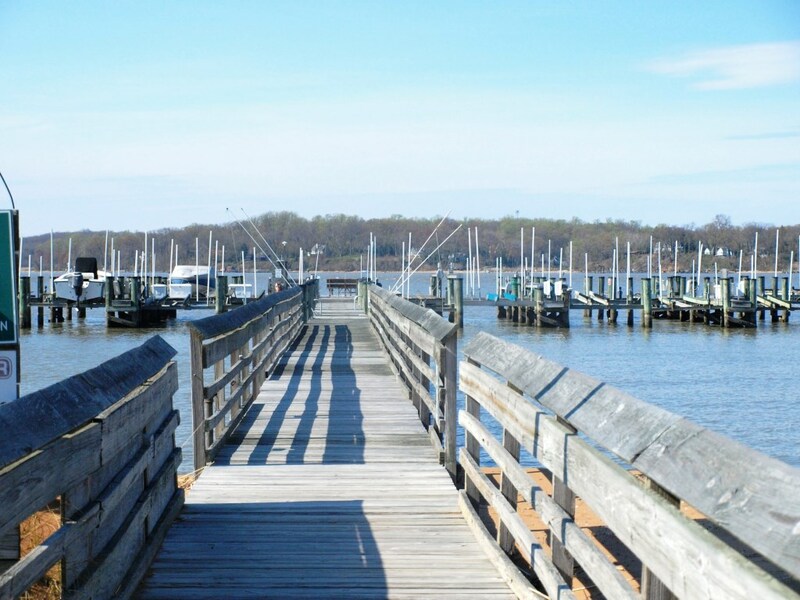 Here are your top Waterfront and Water Access picks for Chesapeake City in Cecil County MD as of November 6, 2014. There may be other properties available but we are unable to display them on our site at the selling brokers option. If you wish a comprehensive list, just contact us at (800)-890-0381. 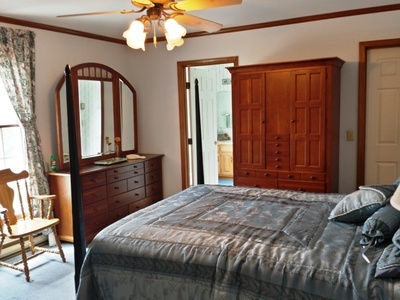 Prices keep being reduced by the sellers and there have been some pretty significant changes. Keep your eye on these posts if you are looking at the Chesapeake City Area as your primary area of interest! If you think you may be interested in Selling your Waterfront or Water Access Home Please request a Free Market Analysis or call us to have us evaluate if now is the correct time. 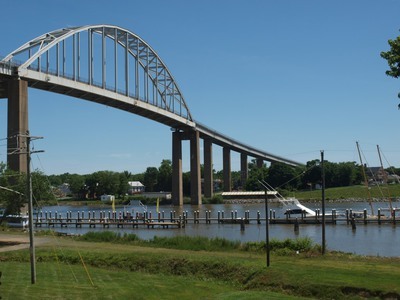 The town of Chesapeake City was originally named by Bohemian colonist Augustine Herman the Village of Bohemia (or Bohemia Manor), but the name was changed in 1839 when the Chesapeake and Delaware Canal was built. 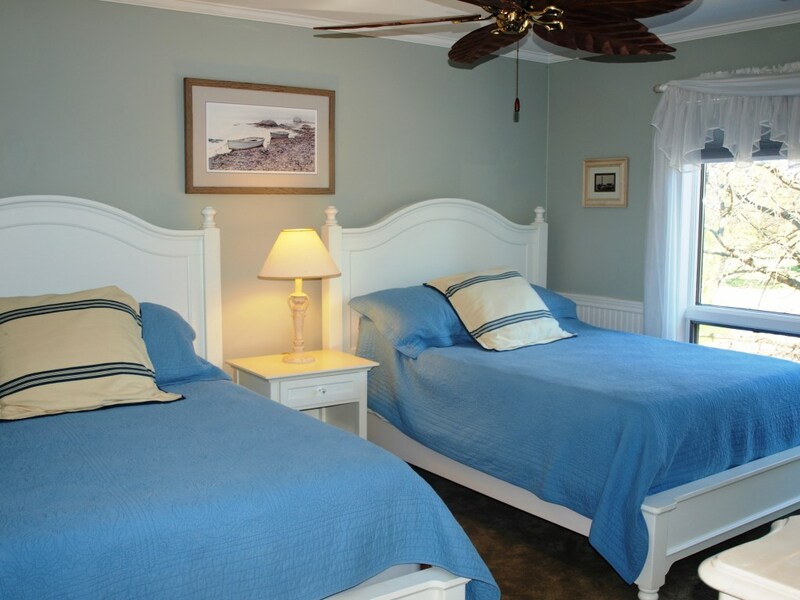 Today, the town contains numerous old homes from that era that have been converted into bed and breakfasts, restaurants, and the local historical museum. 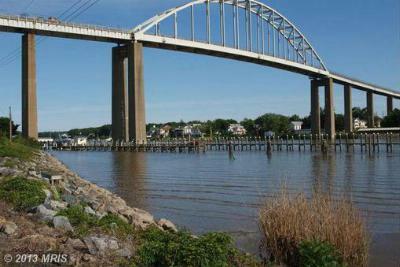 The town was separated into north and south sections when the Chesapeake and Delaware Canal was built through the middle of the town. The two were connected by a drawbridge until 1942, when that was destroyed by a freighter that struck it. 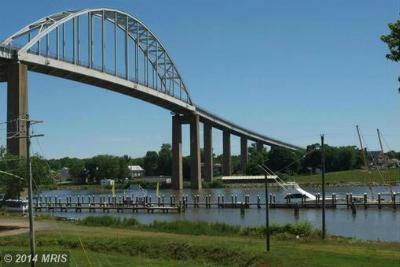 The current bridge opened in 1949. 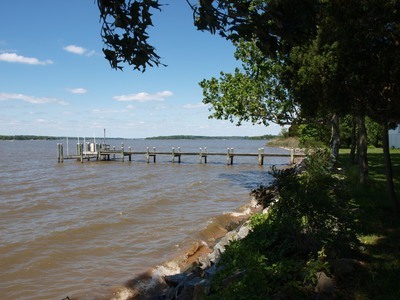 Here are your top Waterfront and Water Access picks for Chesapeake City in Cecil County MD as of October 3, 2014. There may be other properties available but we are unable to display them on our site at the selling brokers option. If you wish a comprehensive list, just contact us at (800)-890-0381. 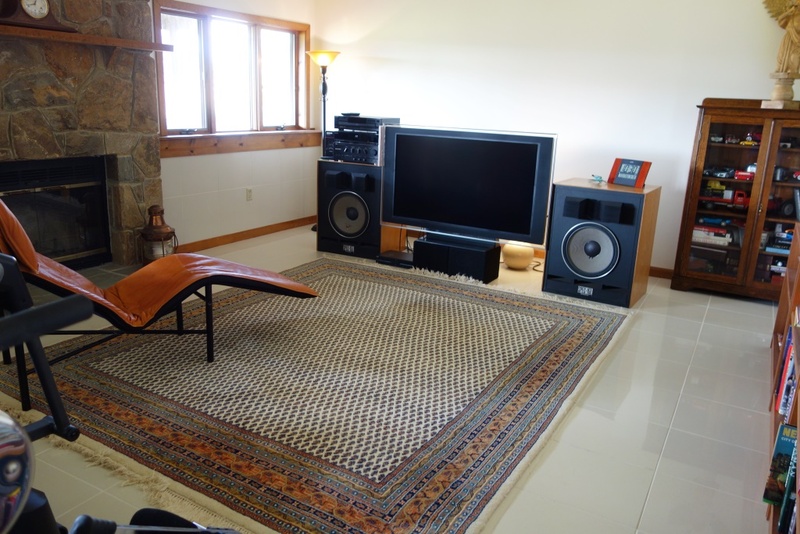 Prices keep being reduced by the sellers and there have been some pretty significant changes. 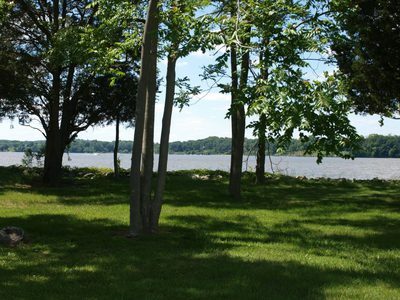 Keep your eye on these posts if you are looking at the Chesapeake City Area as your primary area of interest! 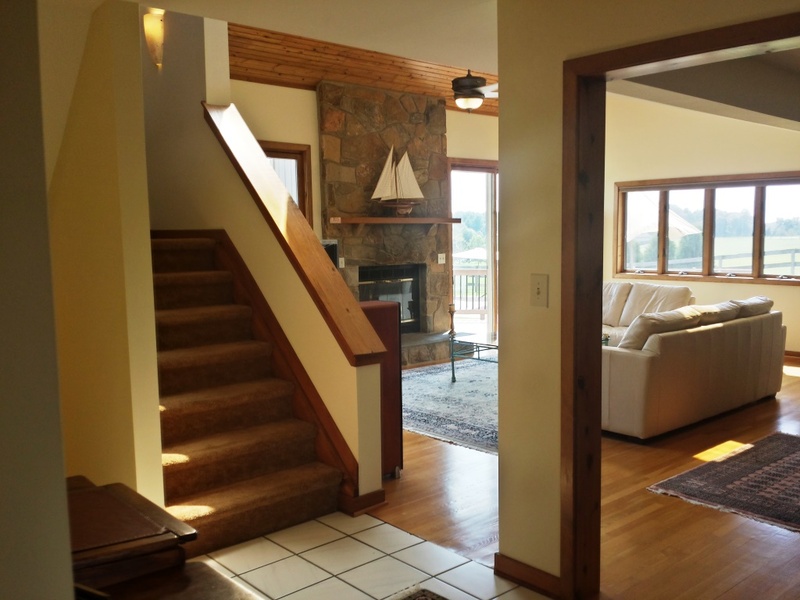 If you think you may be interested in Selling your Waterfront or Water Access Home Please request a Free Market Analysis or call us to have us evaluate if now is the correct time. 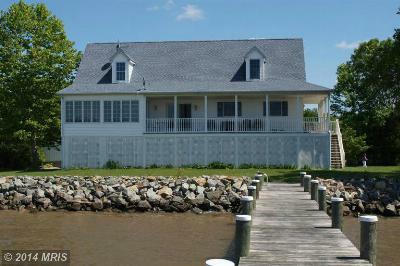 The Bay Property Team at EXiT Preferred Realty proudly introduce to you 31 Meadows Rd in Chesapeake City, Maryland. 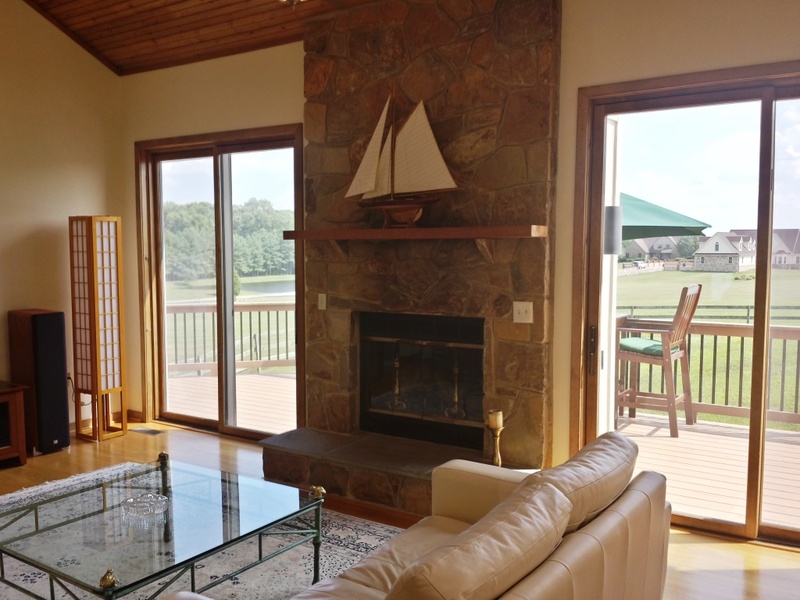 This light-filled home rests serenely on 7.6 acres near the marinas of Town Point Road, just south of the historic canal town of Chesapeake City. 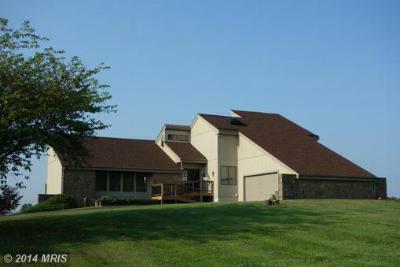 This 3 level contempoary home is situated in the finished desirable five-home cul-de-sac known as Bohemia Meadows. 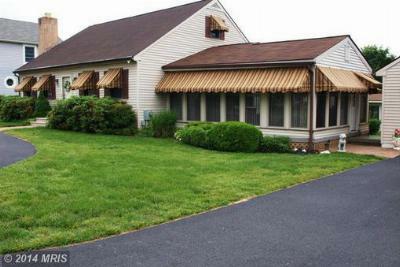 The location is convenient to Wilmington, Newark, Aberdeen, Middletown, Dover, Chestertown and even Philadelphia Airport. 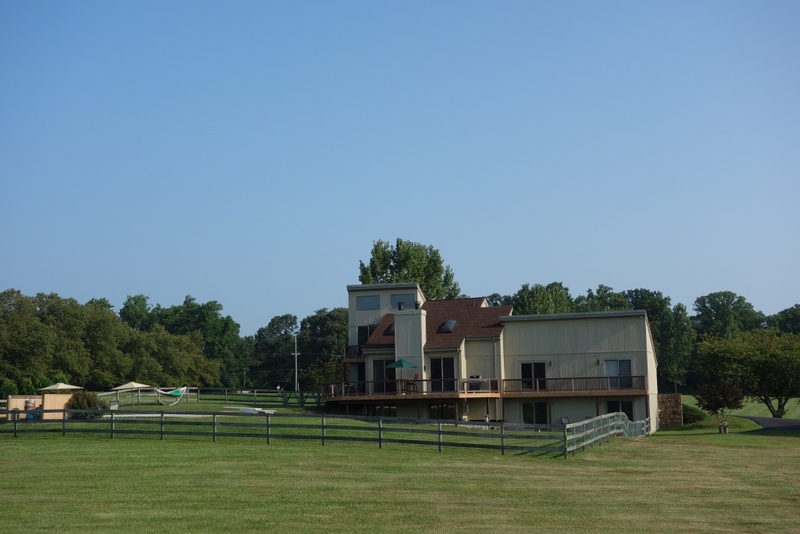 Bring the Horses, goats, alpaca, boats and bunnies---there is plenty of roam around space for the many hobbies for an active lifestyle-- Just a short "Gator" ride to your choice of 3 Marinas on the Bohemia River. 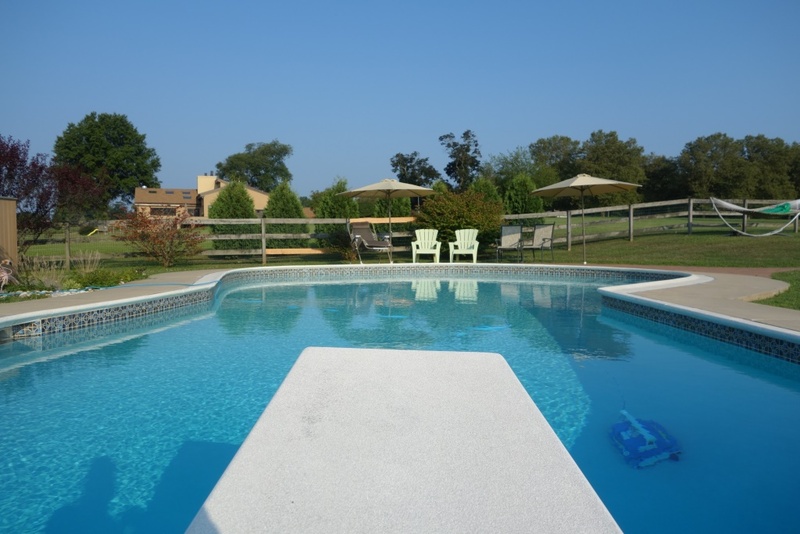 Entertaining family and friends is an un-crowded, memorable experience from spacious wrap around TimberTech decks to the quality Anthony & Sylvan pool with paver block patio. 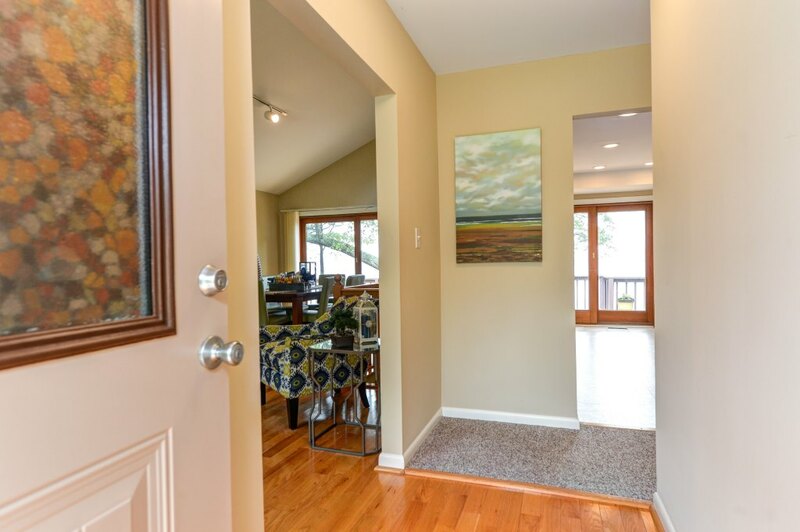 As you enter the home the eye follows the open architecture and gleaming hardwood floors to the spectatacular year-round views. 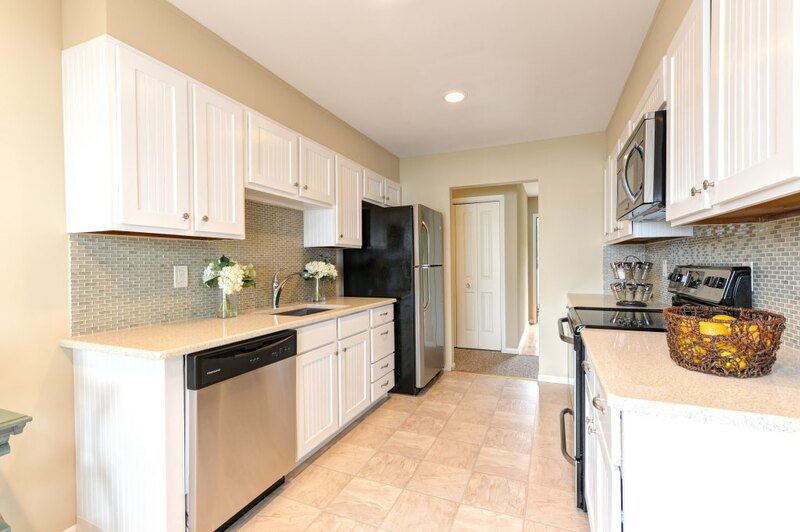 The main living level has Spacious Kitchen with updated appliances, Living Room, Dining Room, Guest Bedroom, Office and full Bath. 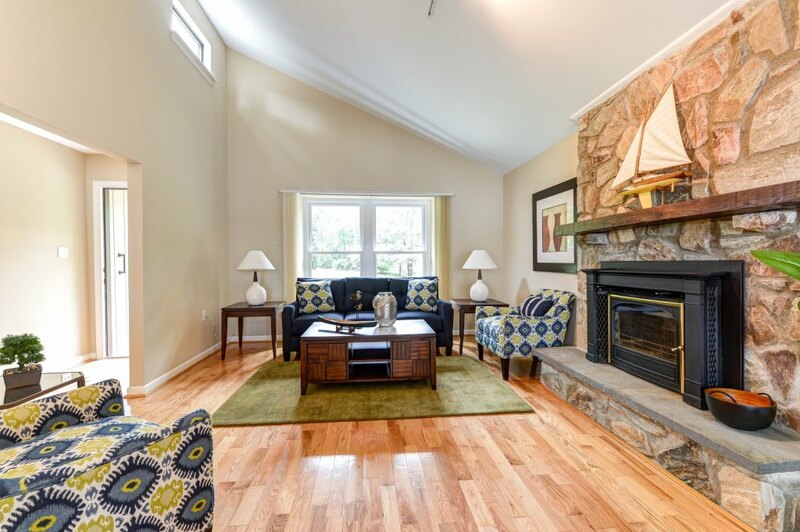 The Stone floor to ceiling fireplace invite guests to feel welcomed to an estate retreat that exudes energy, grace, and a uinque airy style! 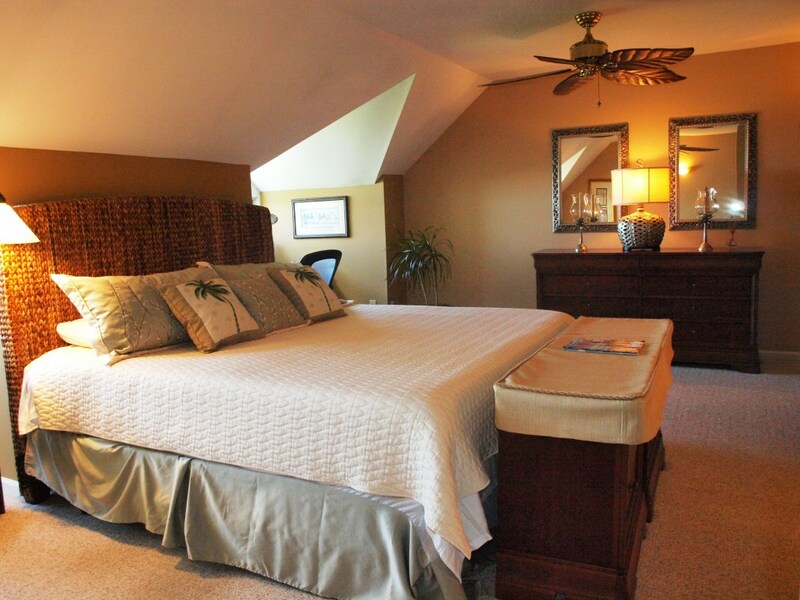 Up the stairs and across the Balcony overlooking the Living Room you will find the Master Suite with Hardwood floors. 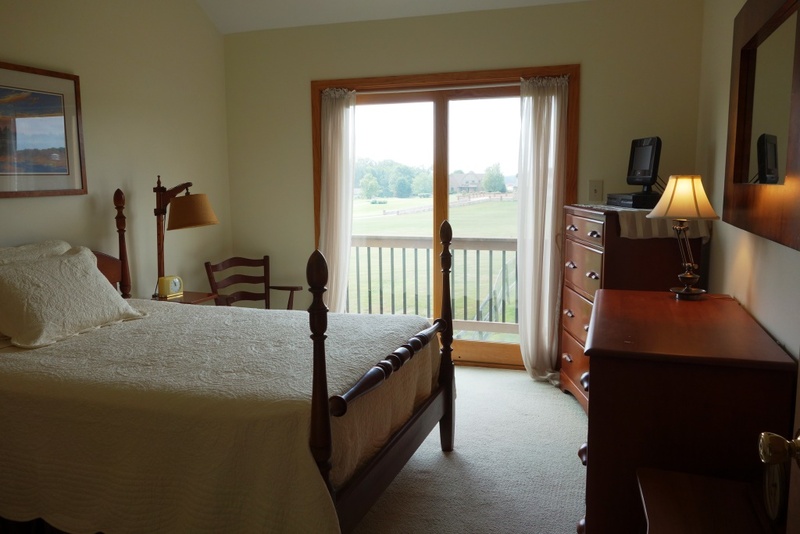 Enjoy the sunrise each morning from the deck with views of the Bohemia River. 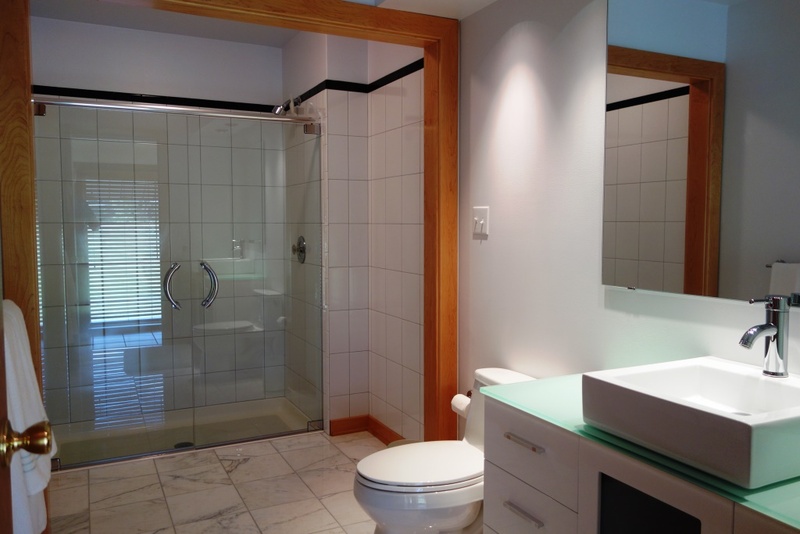 The en-suite bath has jetted soaking tub, separate shower, private toilet and double vanity. 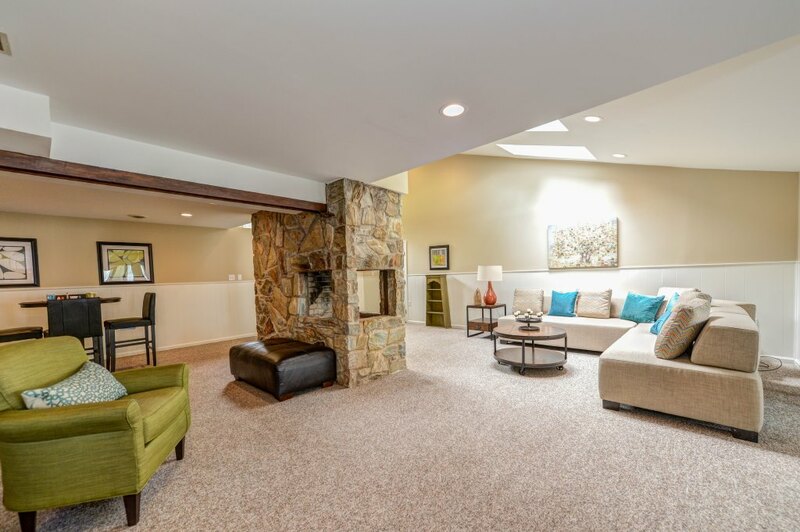 This expansive home continues to the lower level with porcelian tile throughout. 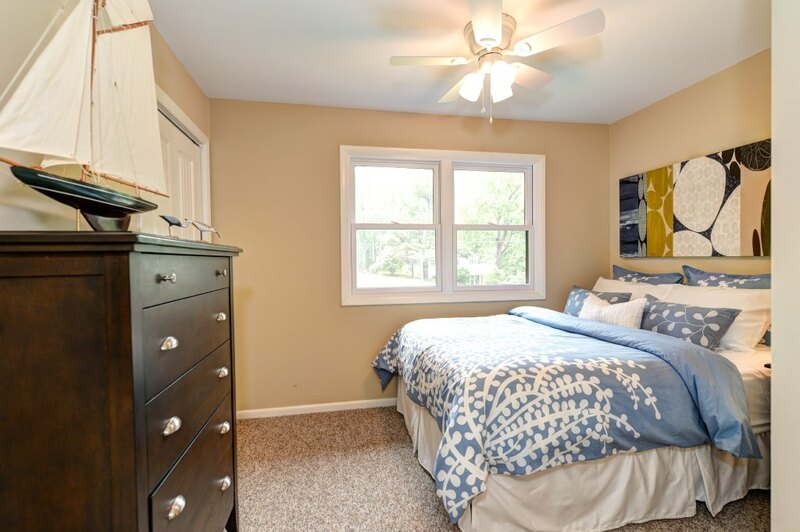 There are two additional bedrooms, updated full bath, Rec Room with a second stone fireplace and Laundry room. 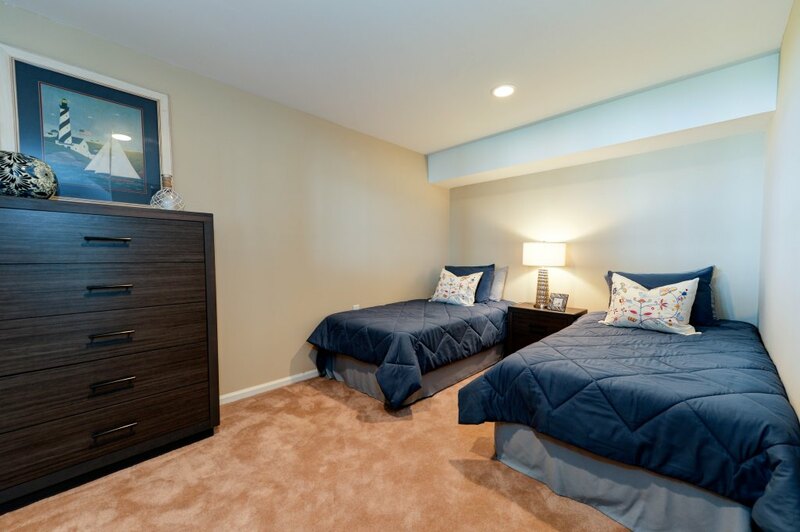 Each bedroom has private access to the back yard and all that this property has to offer. 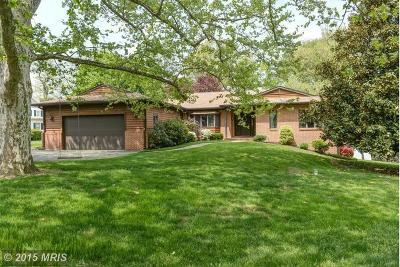 The Exterior of the property has an oversized attached 2 car garage and an additional detached 3 car garage/shed, and immacuately manicured grounds. 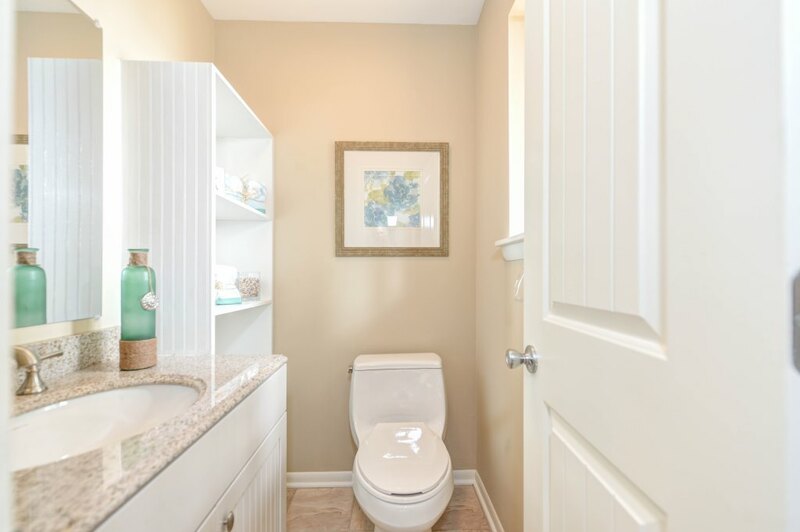 This home has many features that may not be recognized by the average consumer. The mechanical systems have been updated for energy efficiency. The roof has been replaced by the current owners. 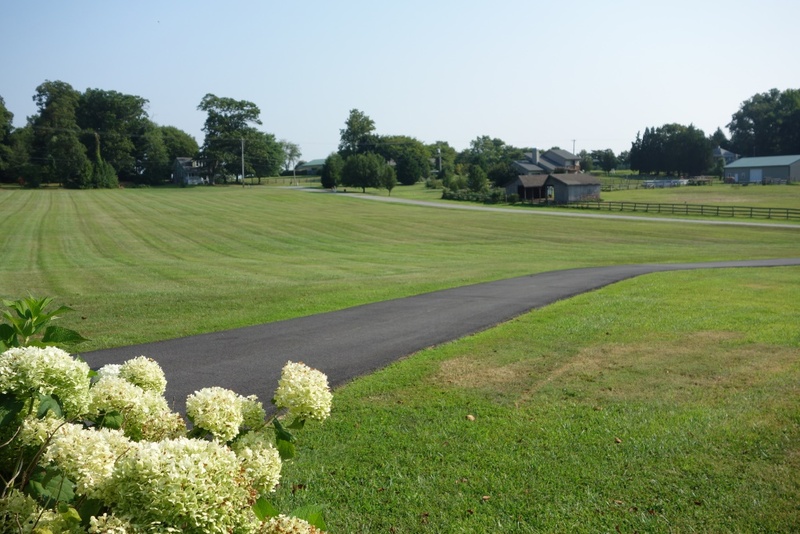 The Septic System's drain field has been replaced as well as many other upgrades. 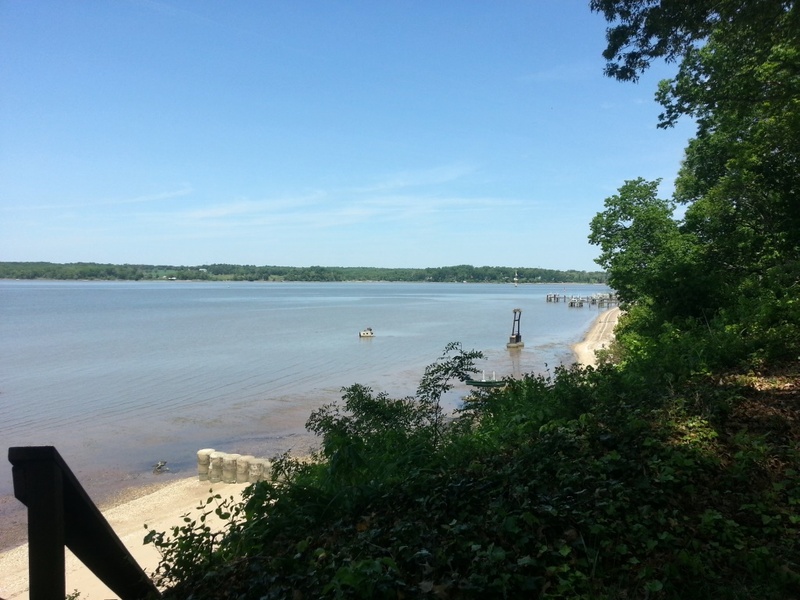 Here are your top Waterfront and Water Access picks for Chesapeake City in Cecil County MD as of August 18, 2014. There may be other properties available but we are unable to display them on our site at the selling brokers option. If you wish a comprehensive list, just contact us at (800)-890-0381. Prices keep being reduced by the sellers and there have been some pretty significant changes. 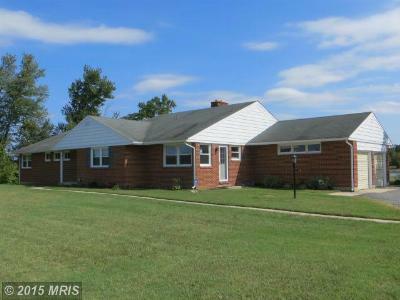 Keep your eye on these posts if you are looking at the Chesapeake City Area as your primary area of interest! If you think you may be interested in Selling your Waterfront or Water Access Home Please request a Free Market Analysis or call us to have us evaluate if now is the correct time. Here are your top Waterfront and Water Access picks for Chesapeake City in Cecil County MD as of June 30, 2014. There may be other properties available but we are unable to display them on our site at the selling brokers option. If you wish a comprehensive list, just contact us at (800)-890-0381. 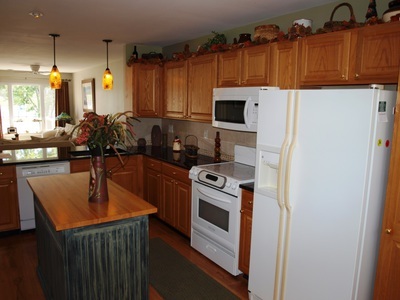 Prices keep being reduced by the sellers and there have been some pretty significant changes. 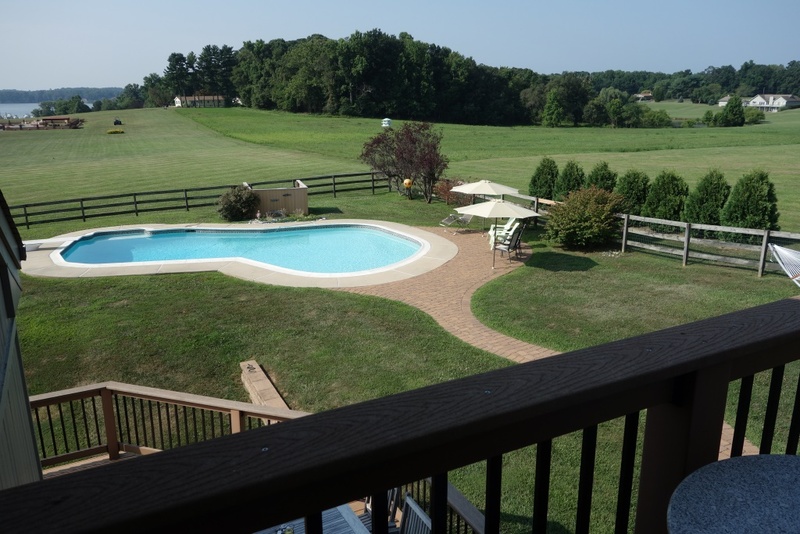 Keep your eye on these posts if you are looking at the Chesapeake City Area as your primary area of interest! 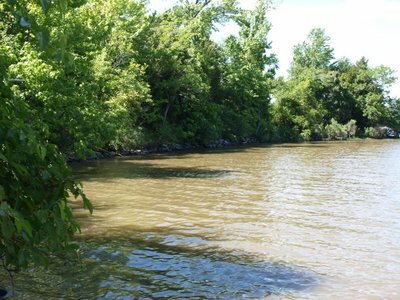 If you think you may be interested in Selling your Waterfront or Water Access Home Please request a Free Market Analysis or call us to have us evaluate if now is the correct time. 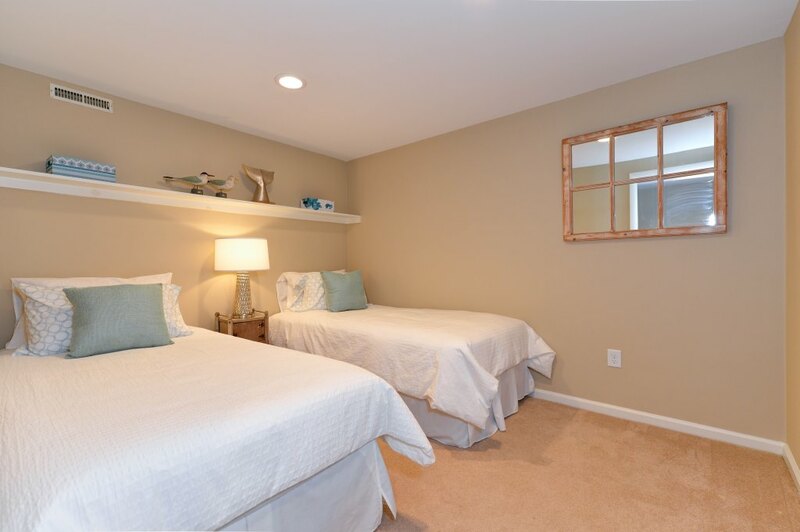 Shipside Townhomes is a small cluster of Waterfront Townhomes located in North Chesapeake City at the Top of the Chesapeake Bay on the Chesapeake & Delaware Canal in Cecil County Maryland and affords its owners all the benefits of the Chesapeake Bay Lifestyle. 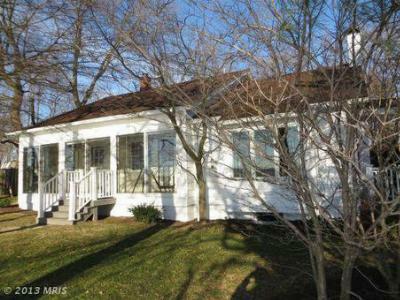 Close to the Chesapeake Cities Marina's and Restaurants, and Tax Free Delaware Shopping. 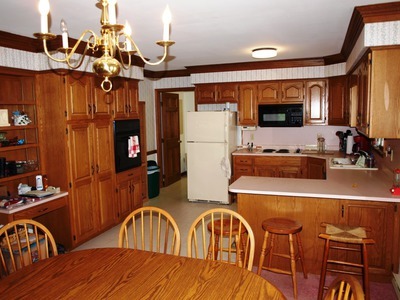 There are both vacation homes and full time residents. 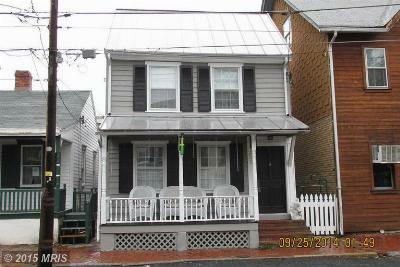 The Bay Property Team at EXiT Preferred Realty proudly introduce to you 151 2nd St Chesapeake City, Maryland. 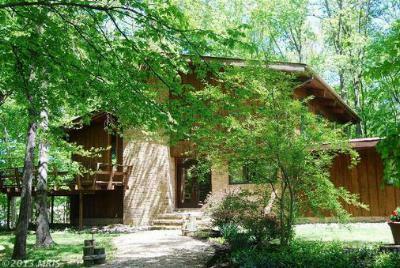 This Waterfront sits on 11 acres on the Elk River with over 1,600' of Waterfront. 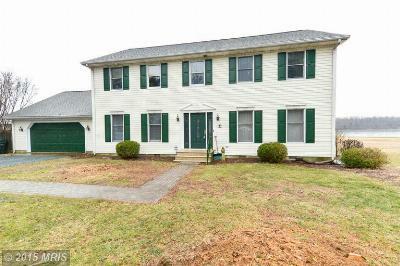 Rarely will you find this size property this close to Middletown shopping, Philadelphia or Baltimore at this price! 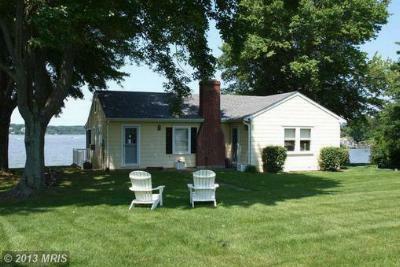 If you have have been dreaming about the relaxed lifestyle of Maryland's Eastern Shore and looking for a quality Waterfront Property. Imagine having this unique combination of waterfront access, proximity to services, and privacy. 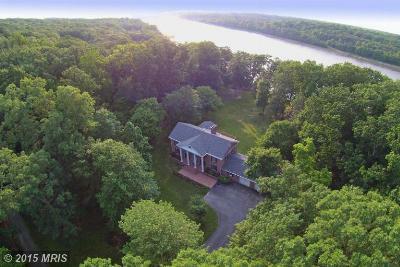 The property boasts approx 800' of "riprap" waterfront on the Elk River, pier with boat lift, and private boat ramp. 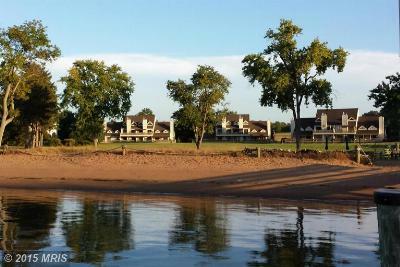 Around the point is an additional 800' of private sandy beach for the new owners enjoyment. Approxamately 5 of the 11 acres are tidal wetlands that abound with Chesapeake Bay wildlife. 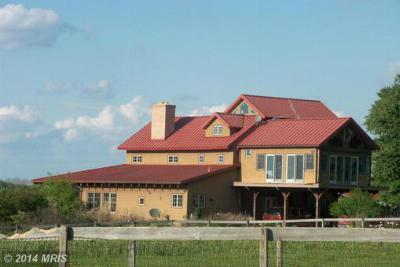 The current owners have retained duck hunting rights for possible rental in the future. 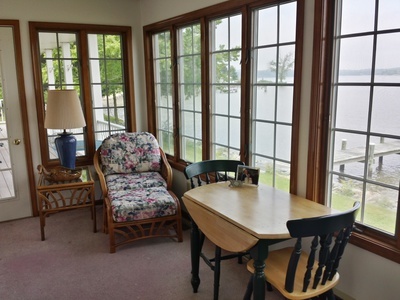 The Home is well oriented to the water with Kitchen, Family Room and porch on the Water Side. 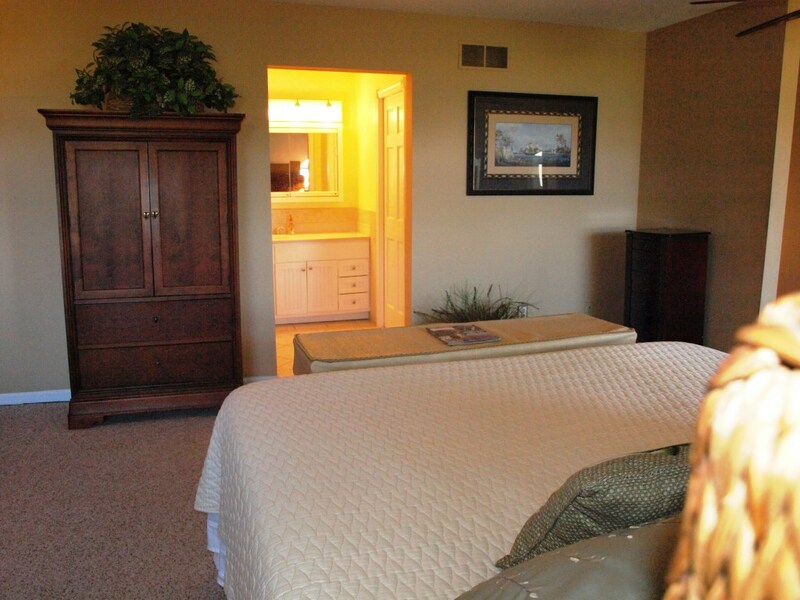 There is also a 1st floor master with full bath, as well as a powder room, living room and laundry. 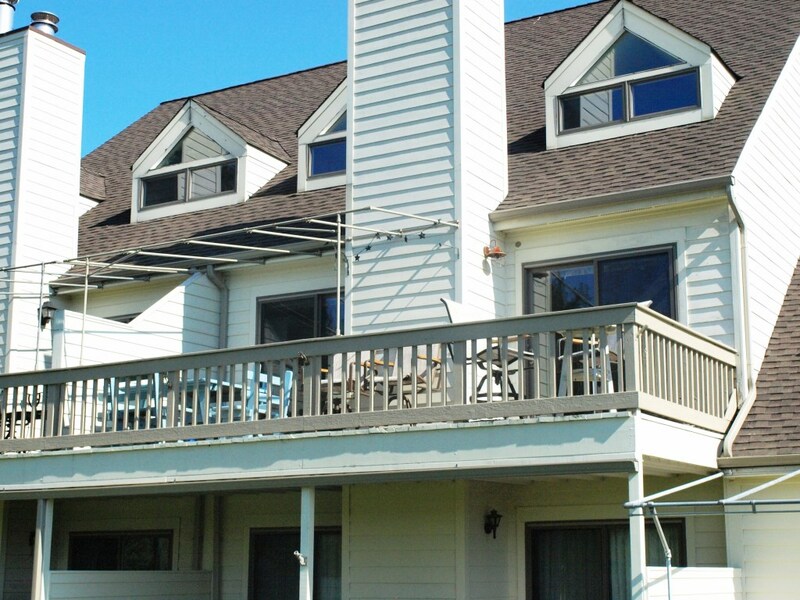 Enjoy spectacular Elk River Sunsets on the wrap around deck. 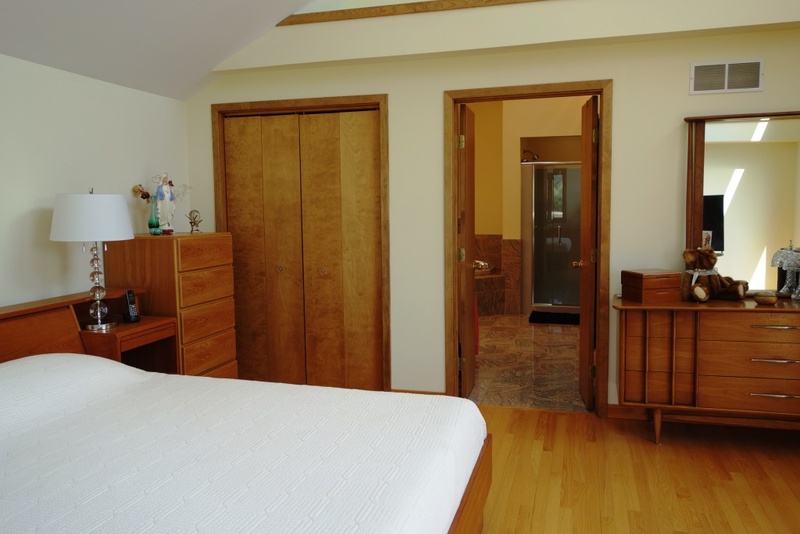 The upper level has 2 additional bedrooms and full bath as well as plenty of storage. 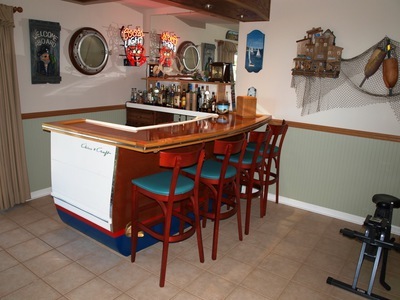 Bring the "Gator" and enjoy all the best that the "Chesapeake Bay Lifestyle" has to offer. 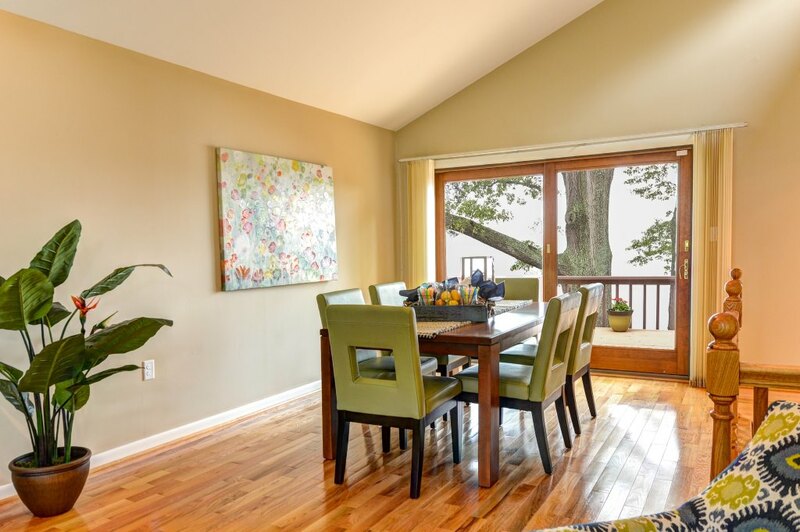 Room to roam, sunset views, and a very private setting will await you at 151 2nd St. 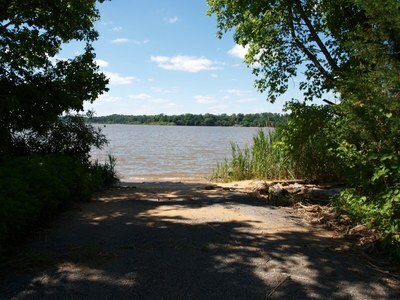 Here are your top Waterfront and Water Access picks for Chesapeake City in Cecil County MD as of May 21, 2014. There may be other properties available but we are unable to display them on our site at the selling brokers option. If you wish a comprehensive list, just contact us at (800)-890-0381. Prices keep being reduced by the sellers and there have been some pretty significant changes. 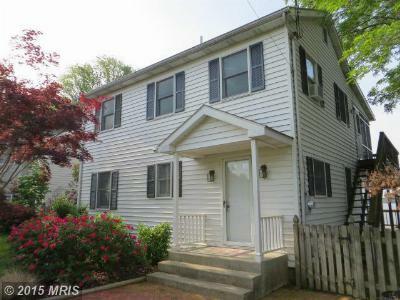 Keep your eye on these posts if you are looking at the Chesapeake City Area as your primary area of interest! 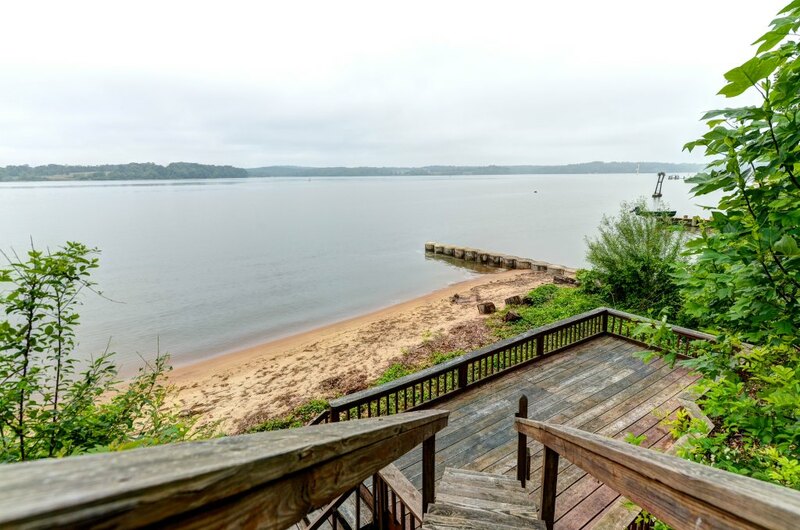 If you think you may be interested in Selling your Waterfront or Water Access Home Please request a Free Market Analysis or call us to have us evaluate if now is the correct time. 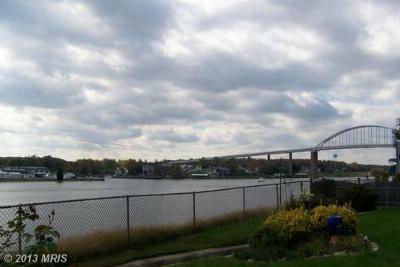 Condo/TownhouseSit on your deck and watch the ships go by! 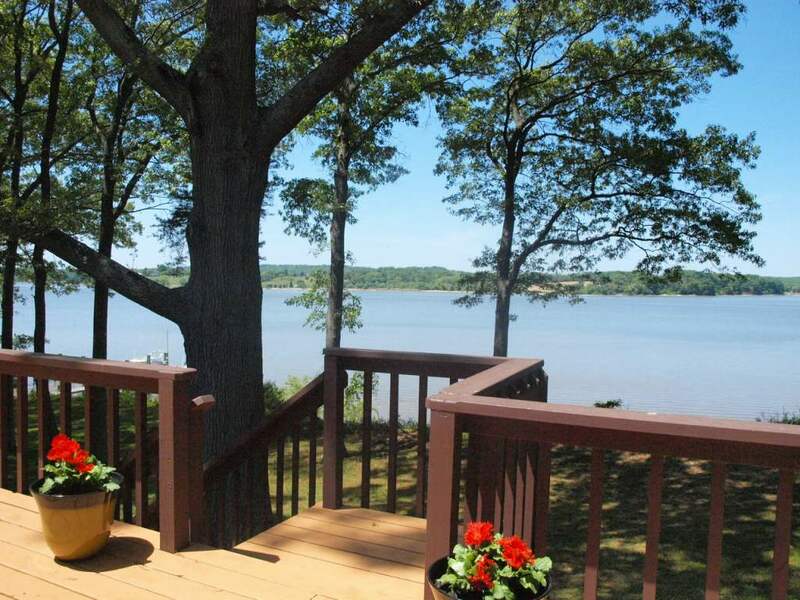 Fabulous water views of the...Courtesy of Long & Foster Real Estate, Inc. 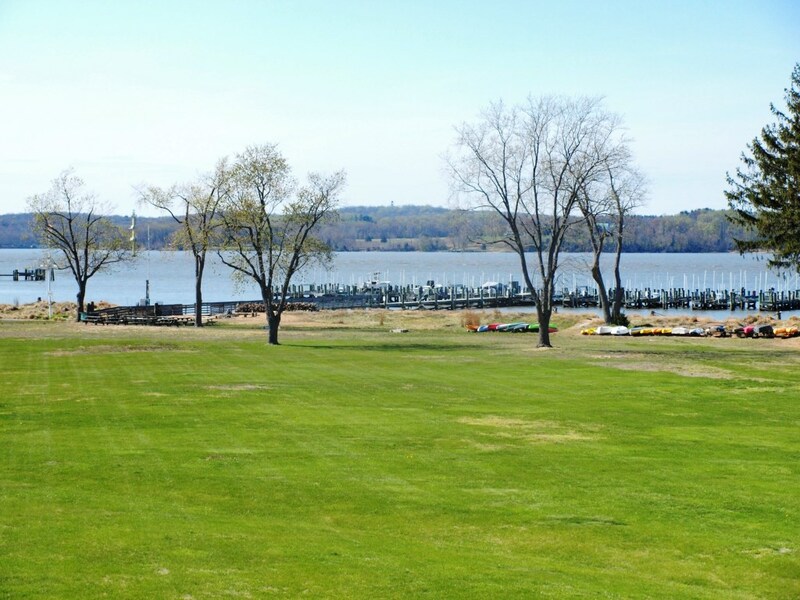 Here are your top Waterfront and Water Access picks for Chesapeake City in Cecil County MD as of April 3, 2014. There may be other properties available but we are unable to display them on our site at the selling brokers option. 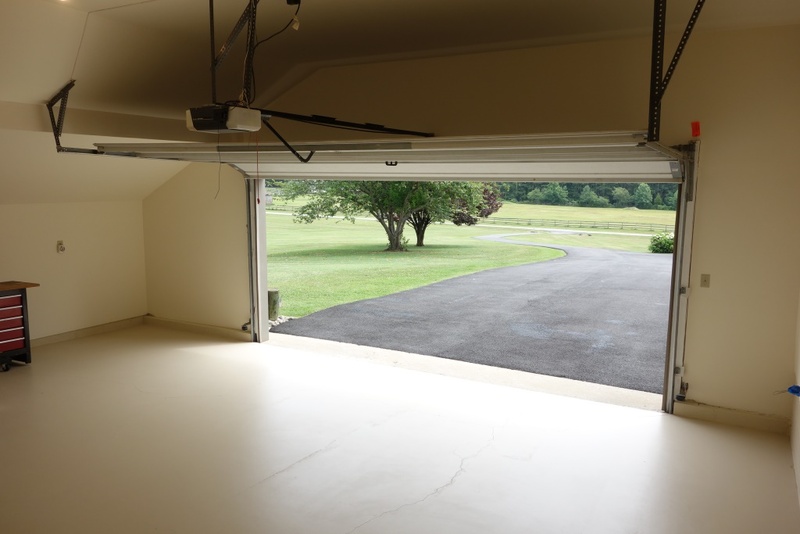 If you wish a comprehensive list, just contact us at (800)-890-0381. Prices keep being reduced by the sellers and there have been some pretty significant changes. 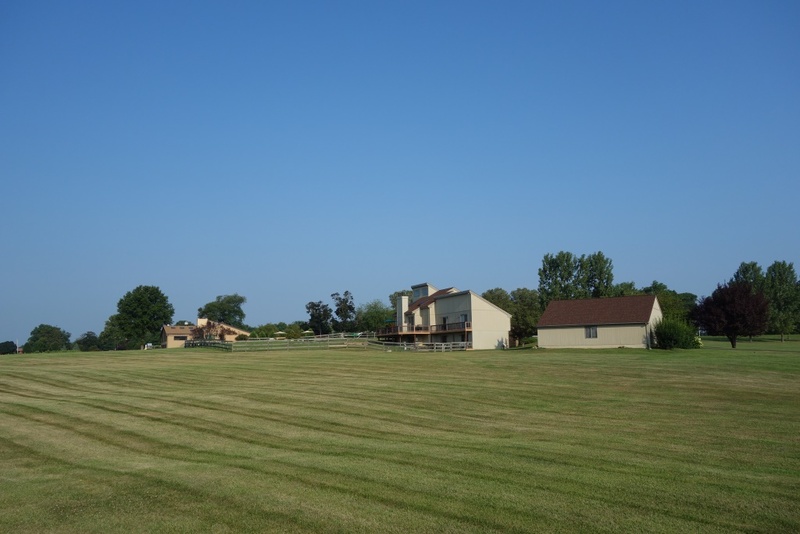 Keep your eye on these posts if you are looking at the Chesapeake City Area as your primary area of interest! If you think you may be interested in Selling your Waterfront or Water Access Home Please request a Free Market Analysis or call us to have us evaluate if now is the correct time. 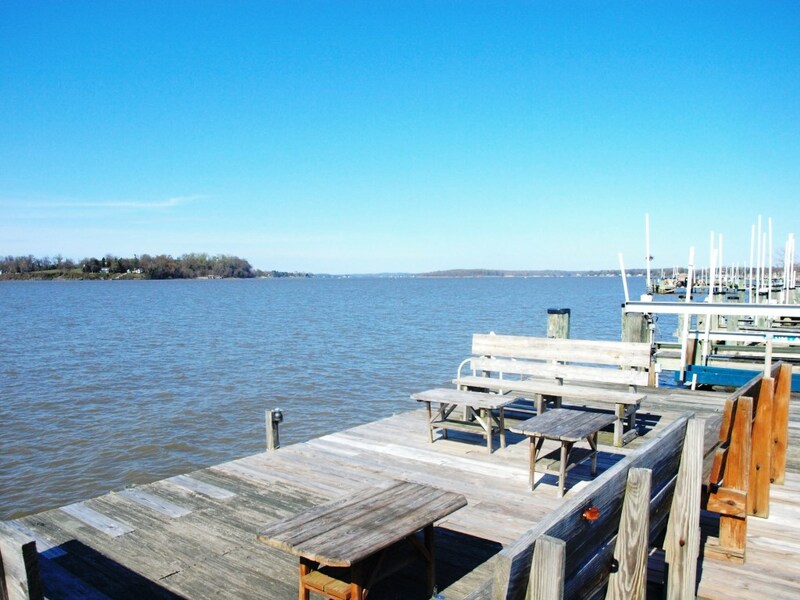 Here are your top Waterfront and Water Access picks for Chesapeake City in Cecil County MD as of February 14, 2014. There may be other properties available but we are unable to display them on our site at the selling brokers option. If you wish a comprehensive list, just contact us at (800)-890-0381. Prices keep being reduced by the sellers and there have been some pretty significant changes. Keep your eye on these posts if you are looking at the Chesapeake City Area as your primary area of interest! If you think you may be interested in Selling your Waterfront or Water Access Home Please request a Free Market Analysis or call us to have us evaluate if now is the correct time. 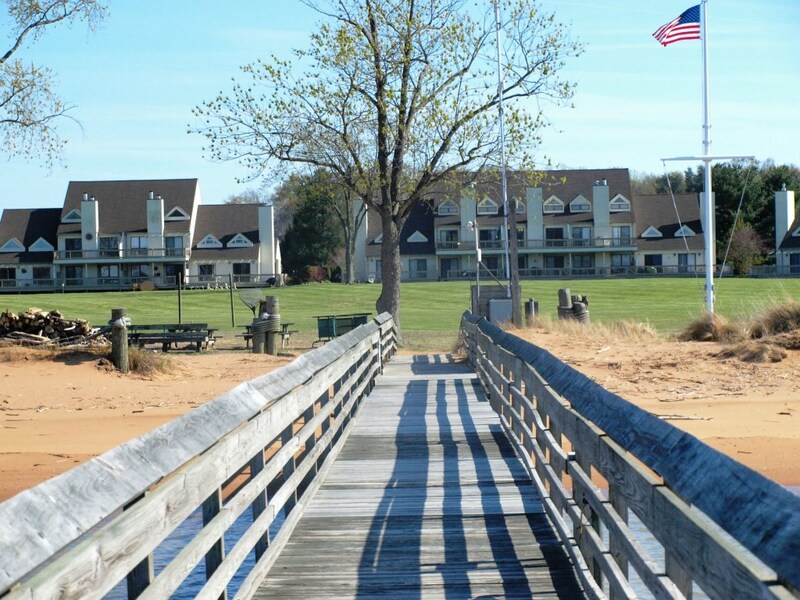 Here are your top Waterfront and Water Access picks for Chesapeake City in Cecil County MD as of January 13, 2014. There may be other properties available but we are unable to display them on our site at the selling brokers option. If you wish a comprehensive list, just contact us at (800)-890-0381. Prices keep being reduced by the sellers and there have been some pretty significant changes. Keep your eye on these posts if you are looking at the Chesapeake City Area as your primary area of interest! If you think you may be interested in Selling your Waterfront or Water Access Home Please request a Free Market Analysis or call us to have us evaluate if now is the correct time. 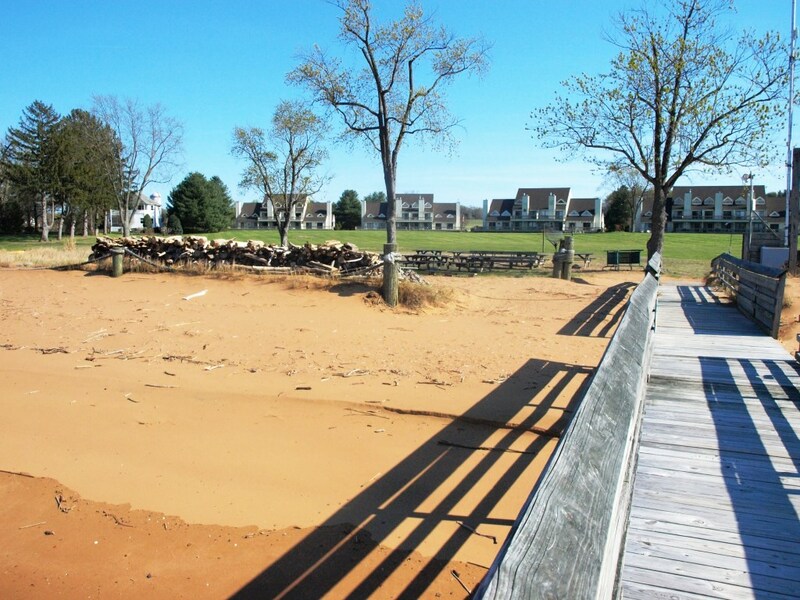 Here are your top Waterfront and Water Access picks for Chesapeake City in Cecil County MD as of November 1, 2013. There may be other properties available but we are unable to display them on our site at the selling brokers option. If you wish a comprehensive list, just contact us at (800)-890-0381. 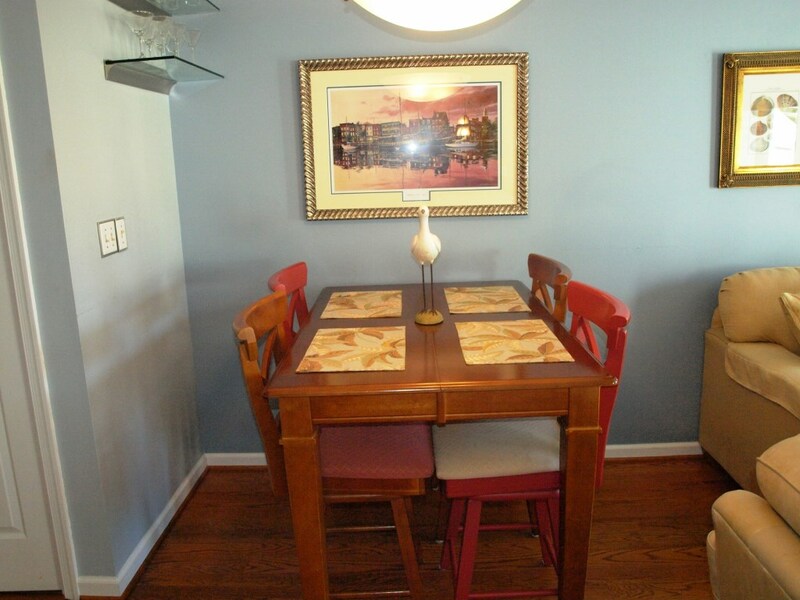 Prices keep being reduced by the sellers and there have been some pretty significant changes. Keep your eye on these posts if you are looking at the Chesapeake City Area as your primary area of interest! 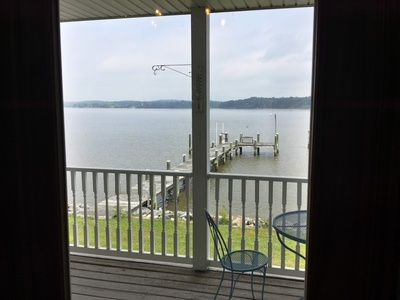 If you think you may be interested in Selling your Waterfront or Water Access Home Please request a Free Market Analysis or call us to have us evaluate if now is the correct time.